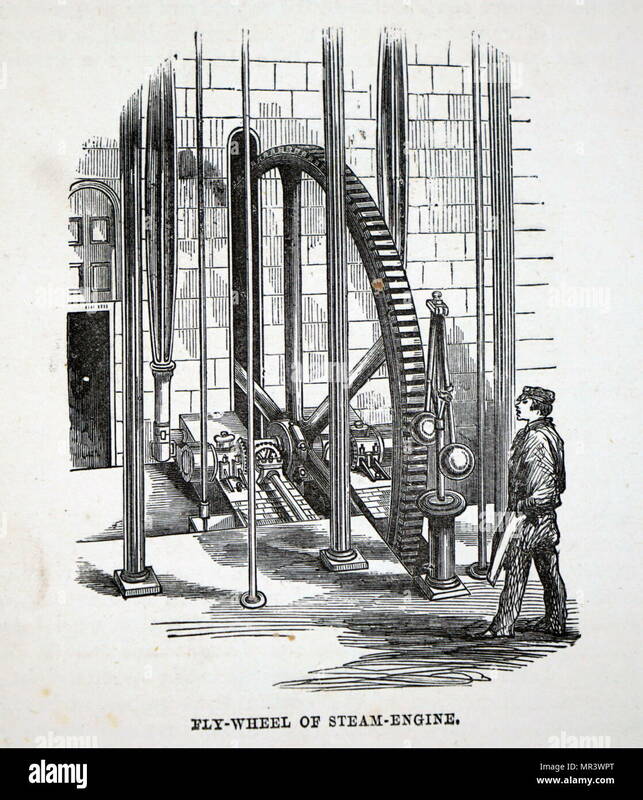 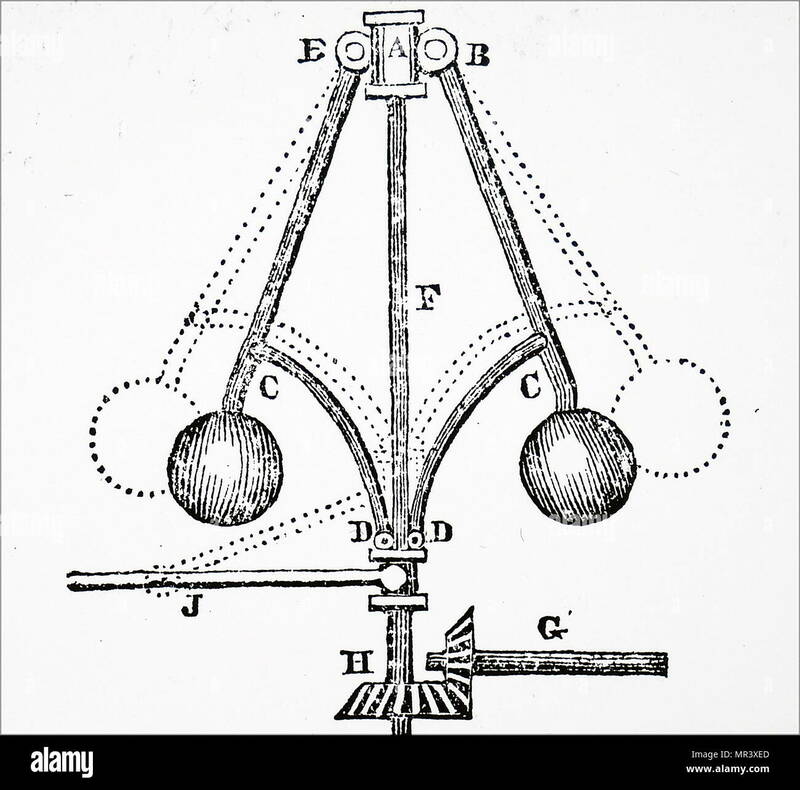 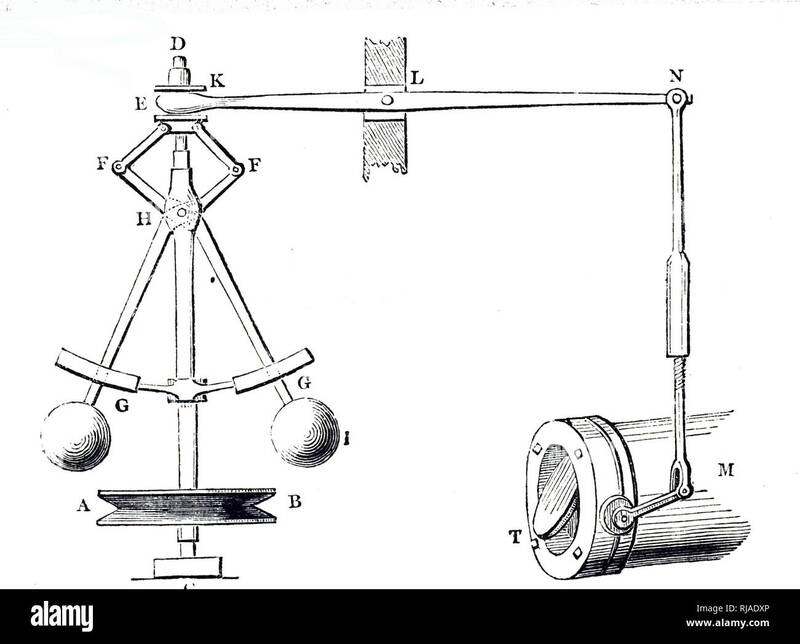 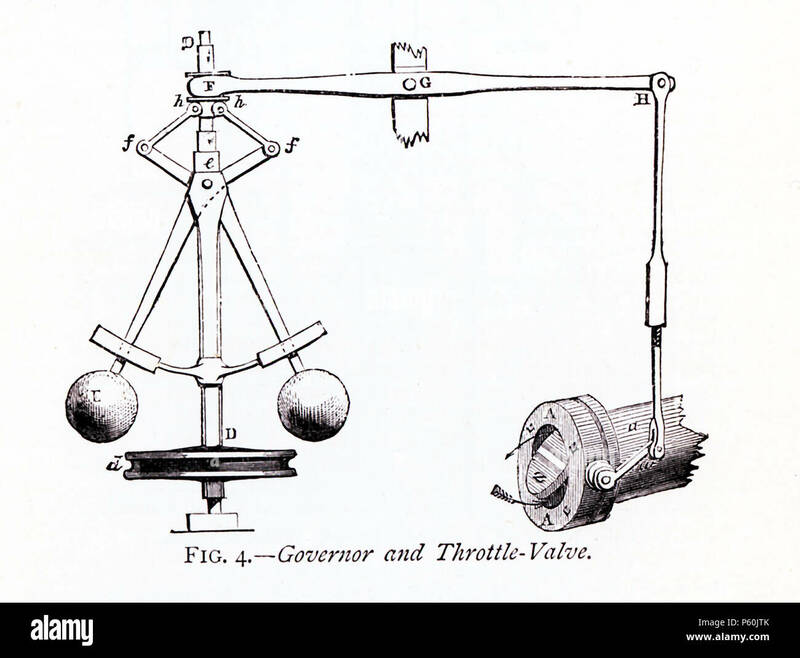 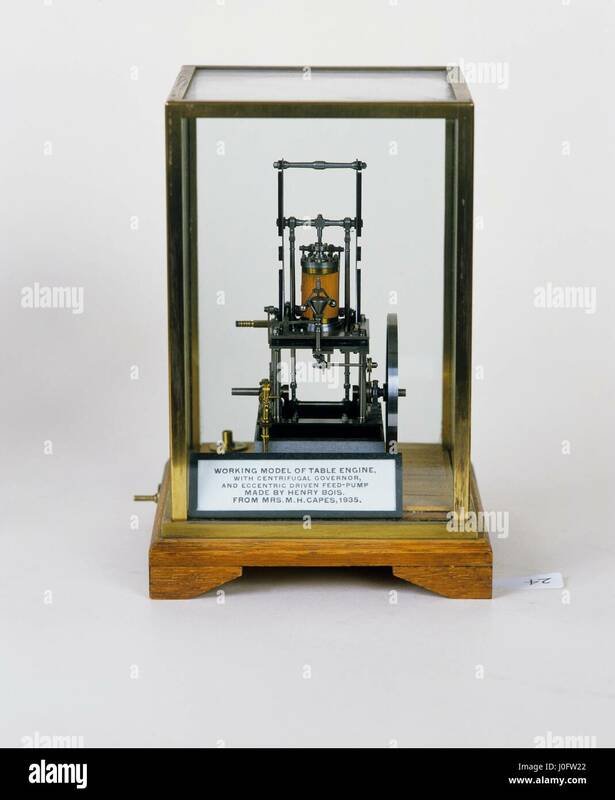 This 1870s illustration shows the governor and throttle-valve that was part of James Watt's steam engine. 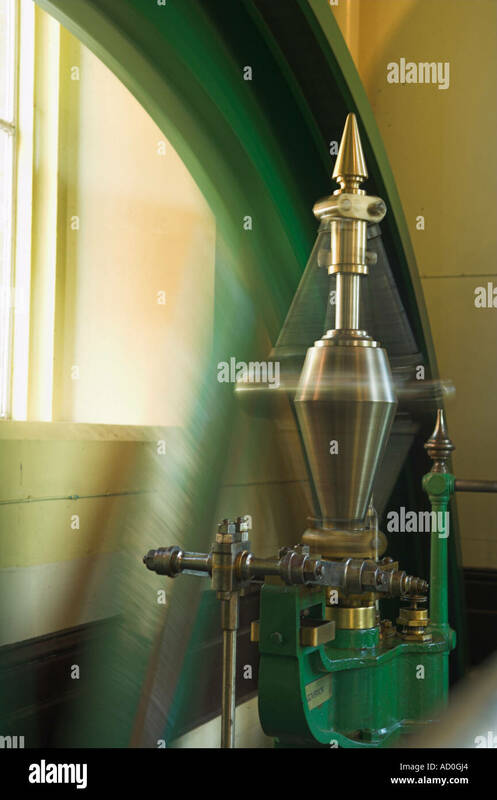 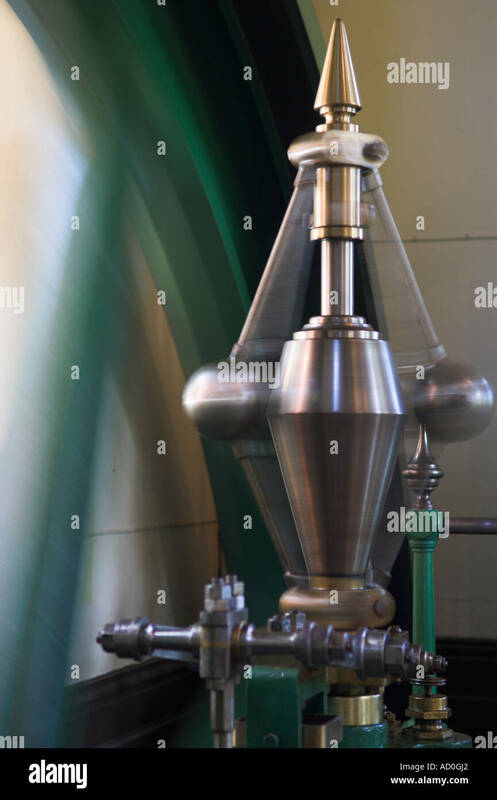 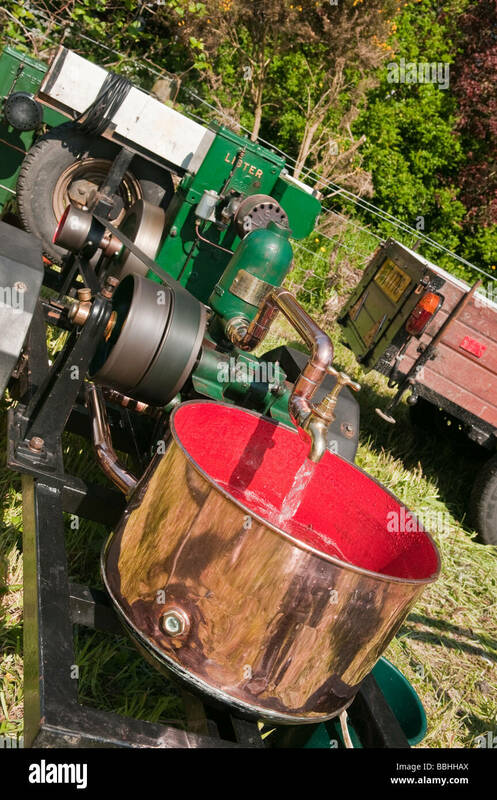 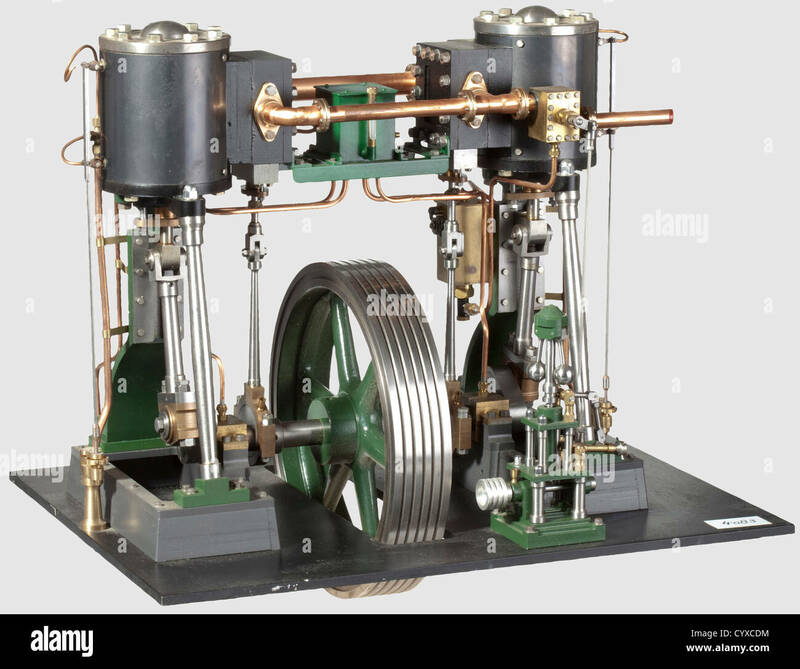 A Scottish inventor and mechanical engineer, James Watt (1736-1819) was said to have discovered the power of steam when he placed his hand in front of kettle that held a very hot liquid. 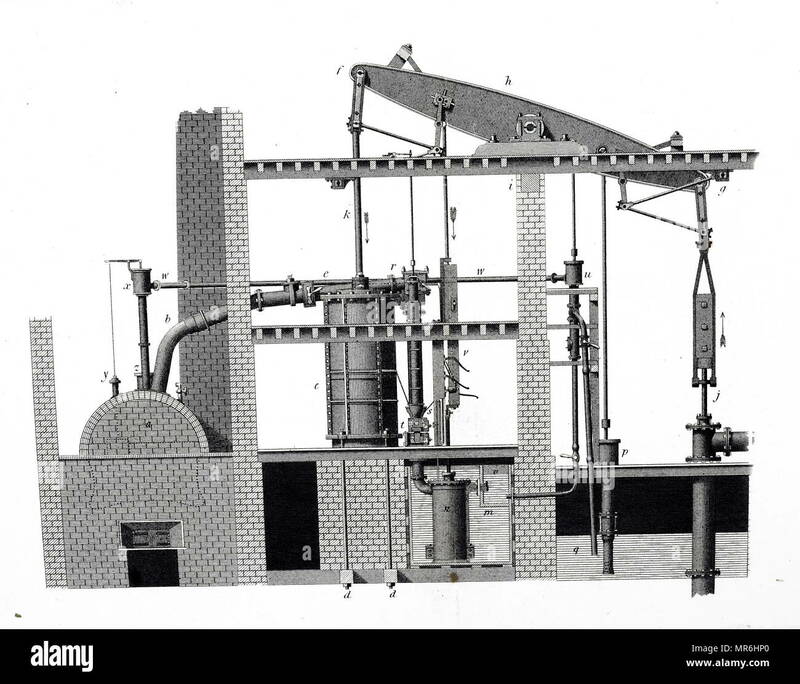 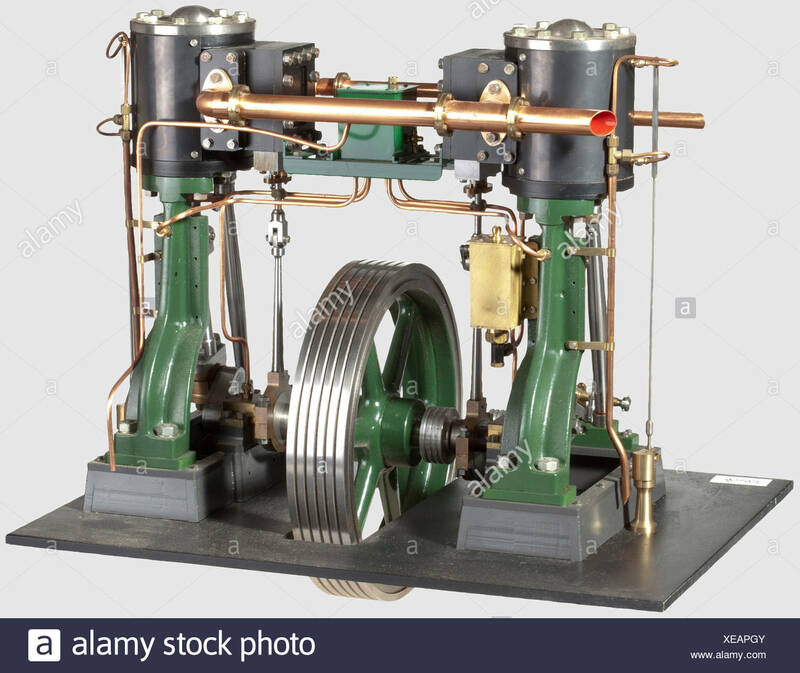 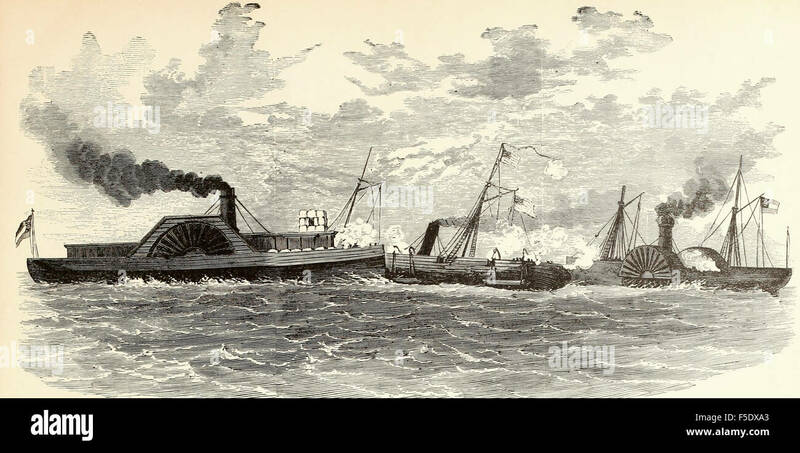 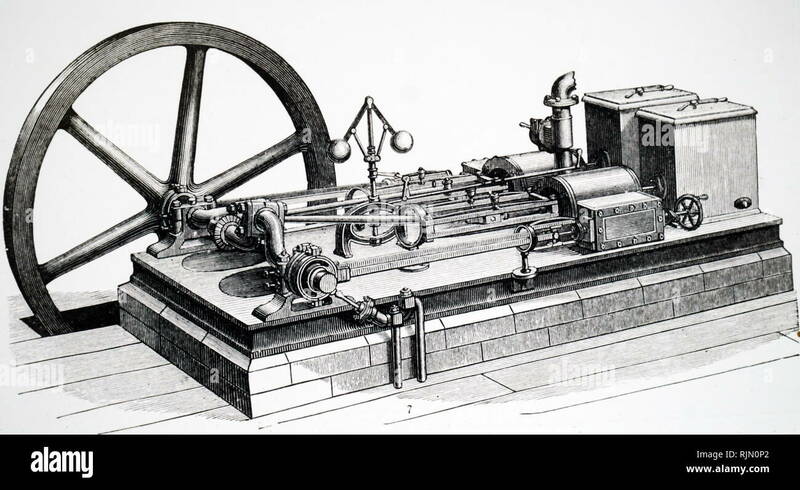 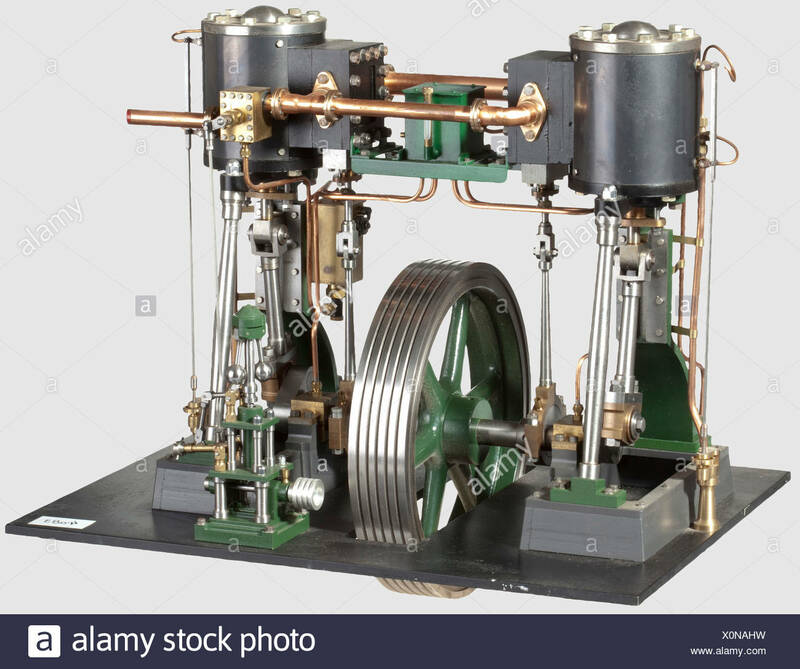 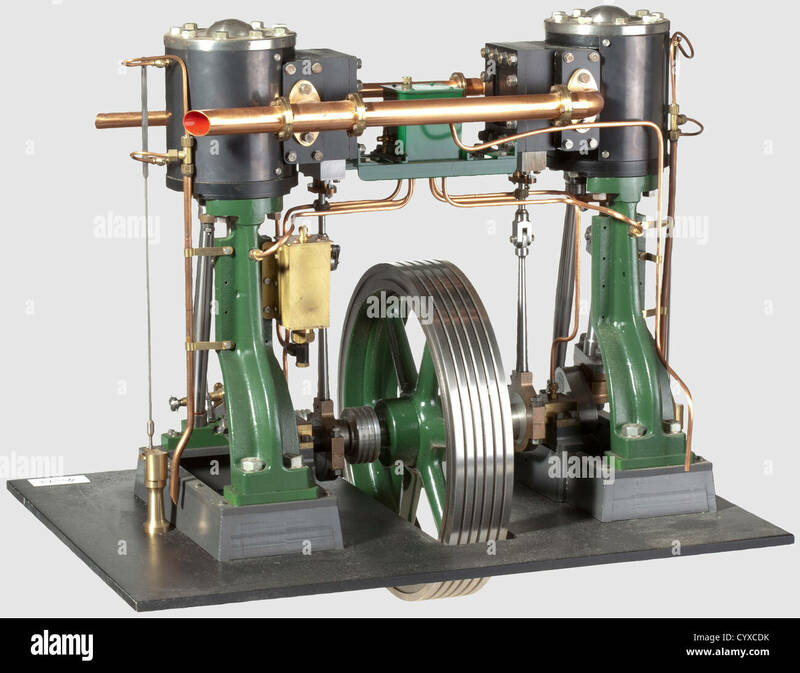 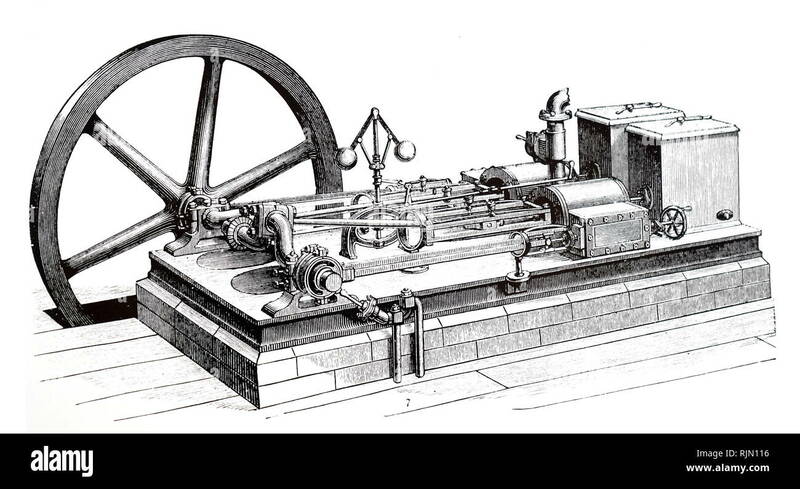 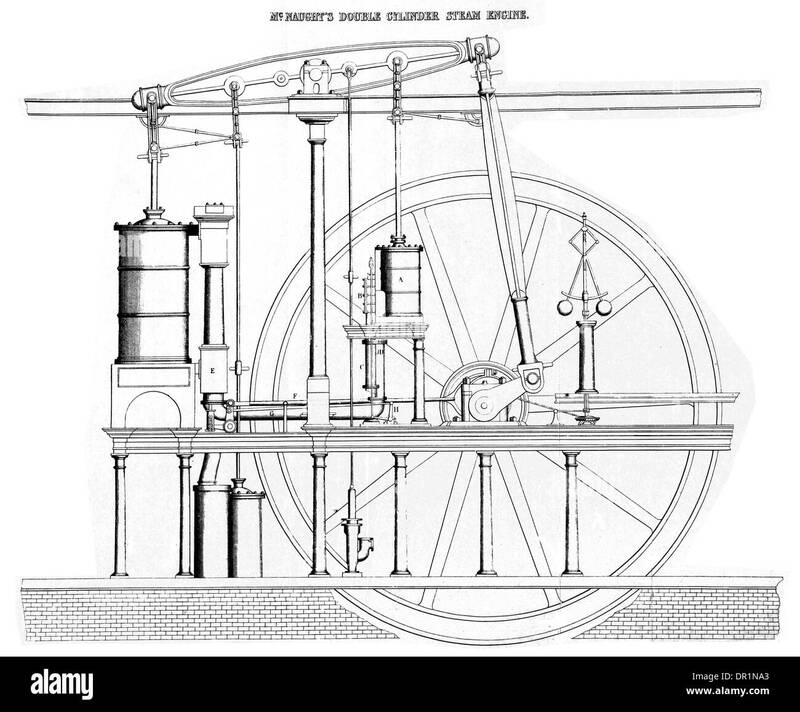 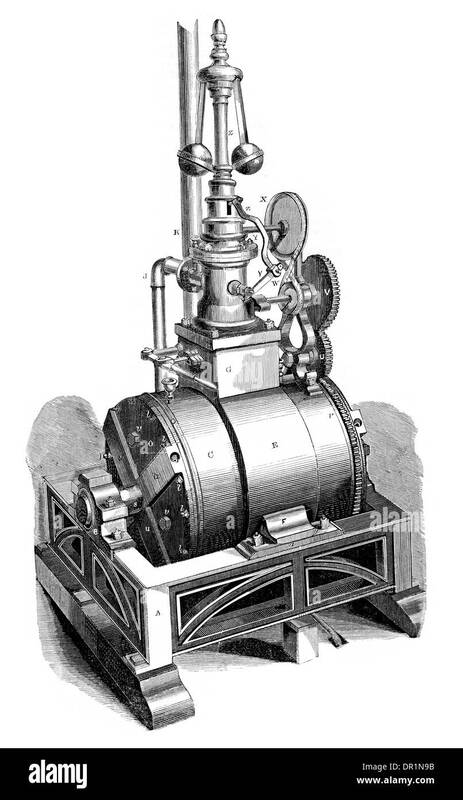 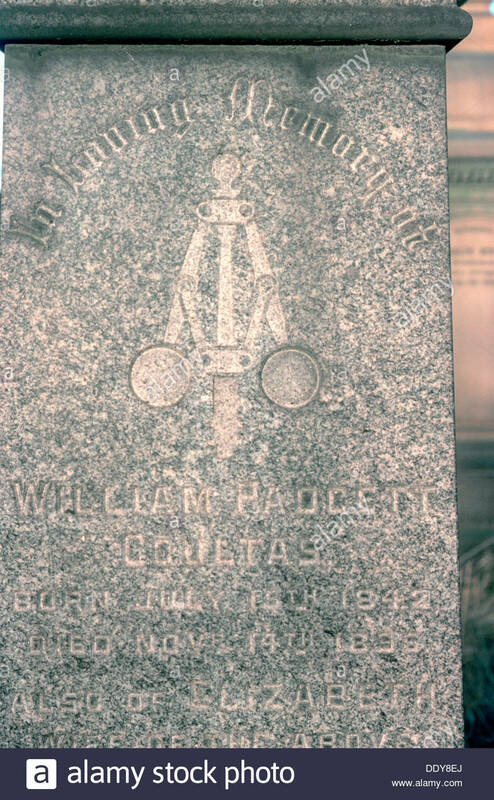 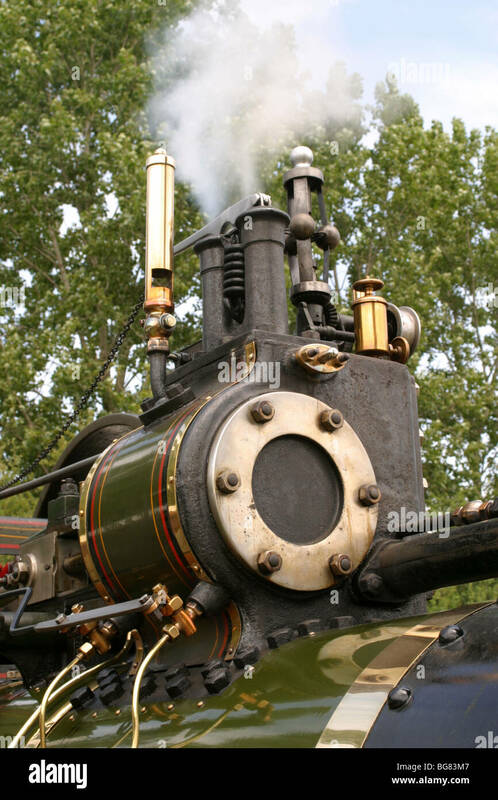 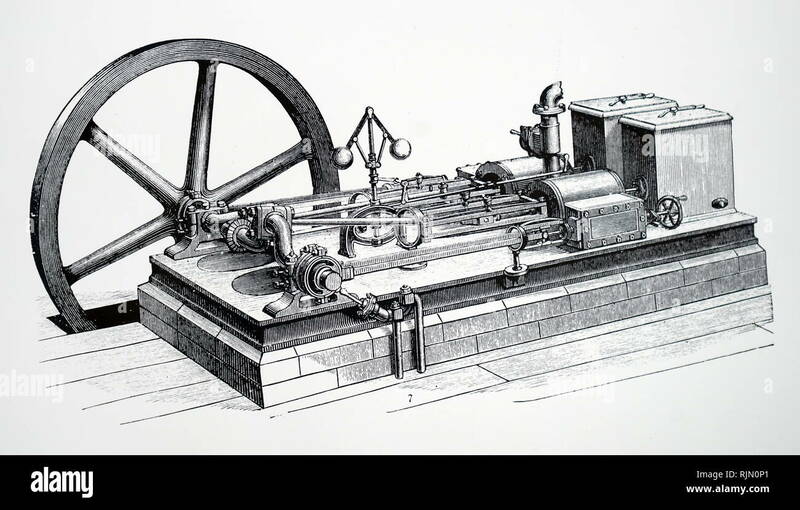 Watt’s improvements to the steam engine were key to the changes that came with the Industrial Revolution. 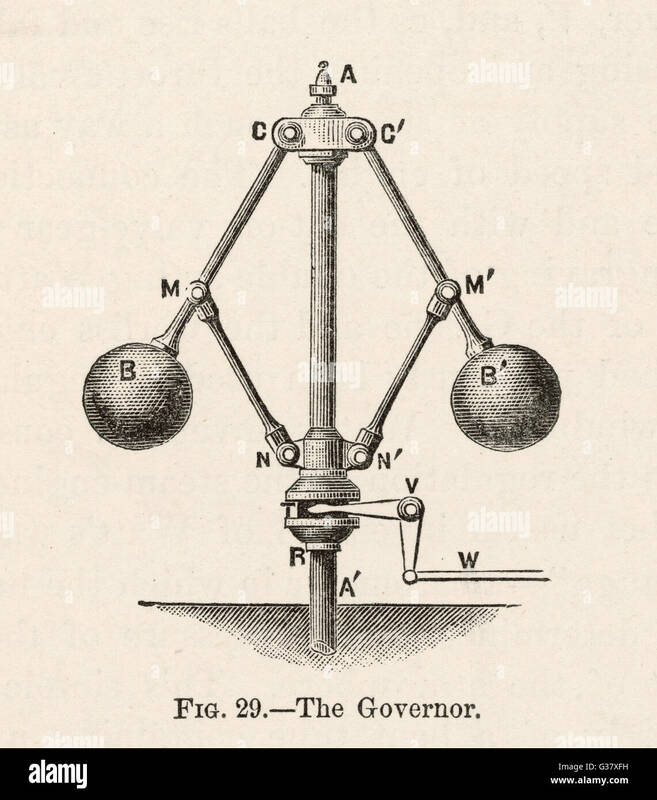 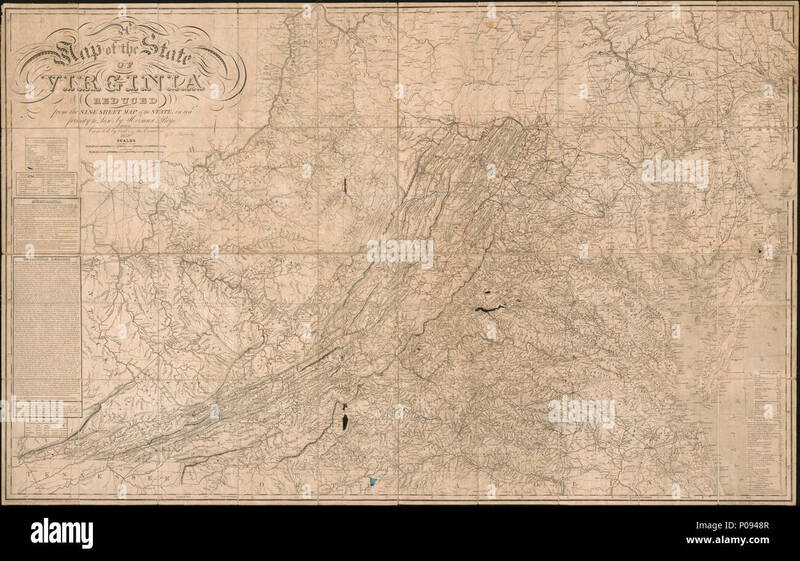 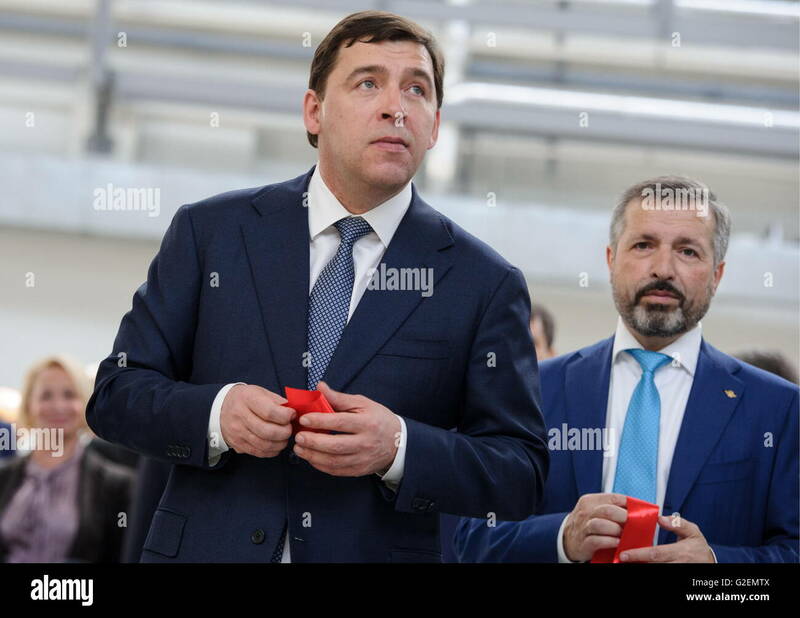 The governor islabeled D here. 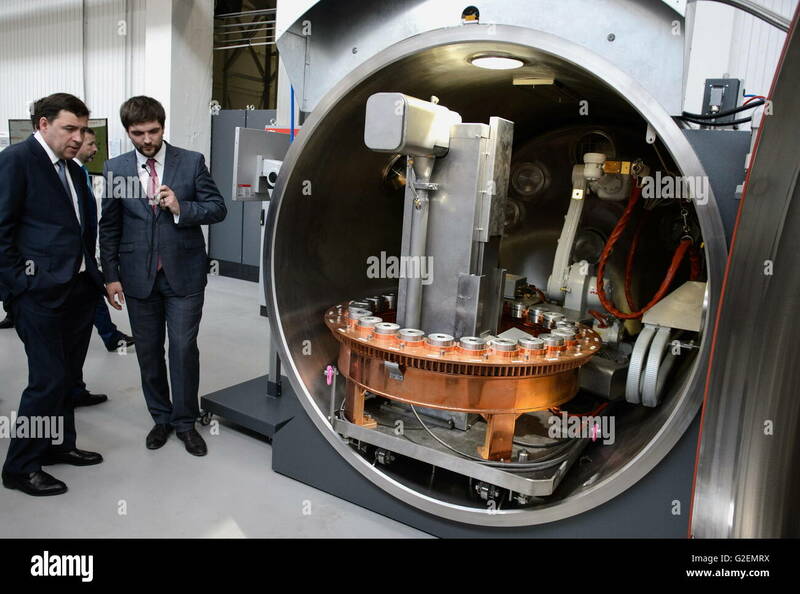 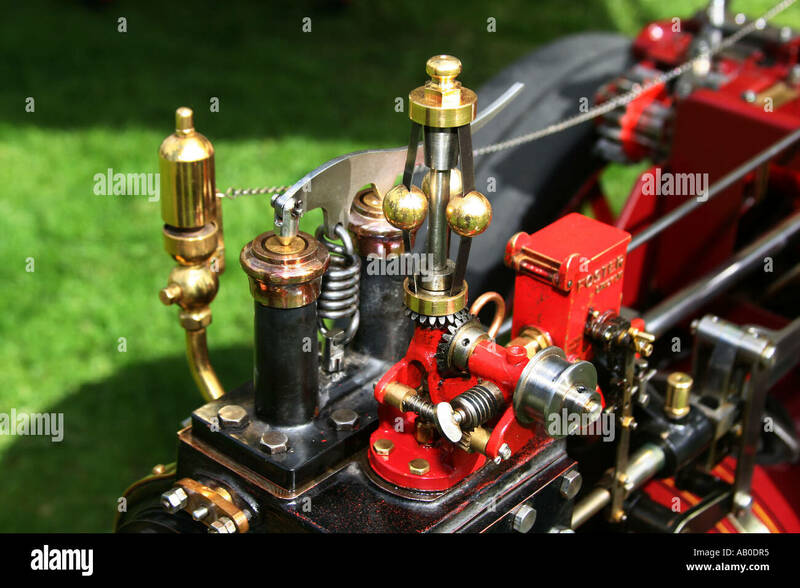 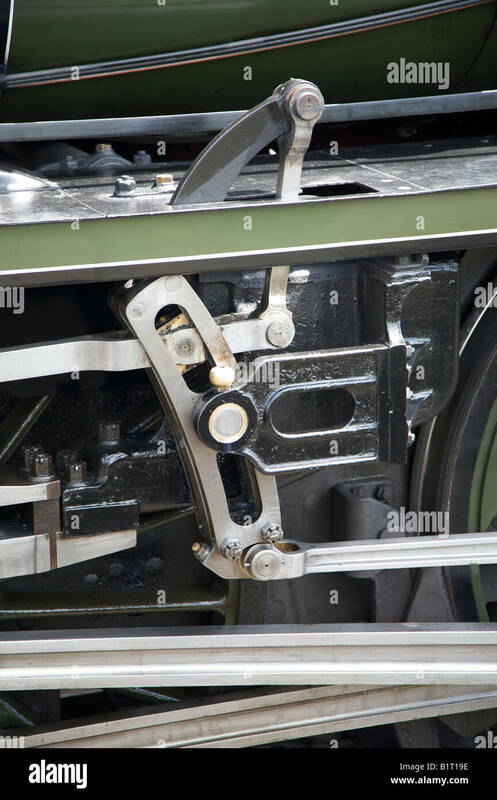 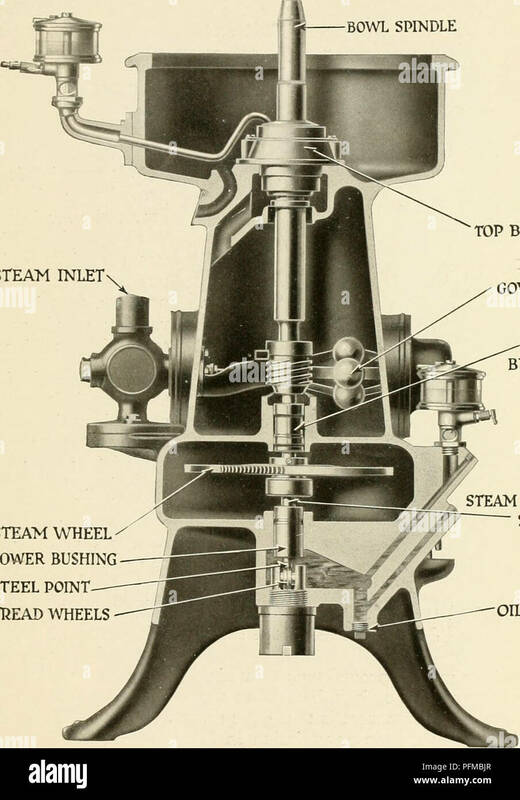 The throttle valve is the piece at bottom right. 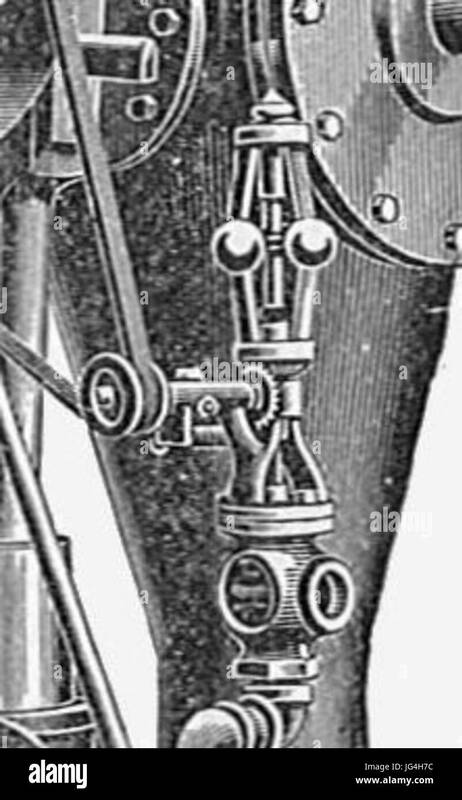 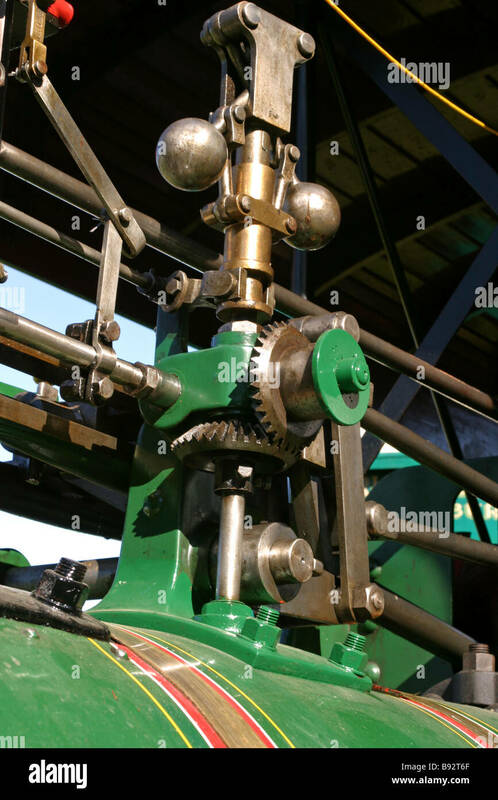 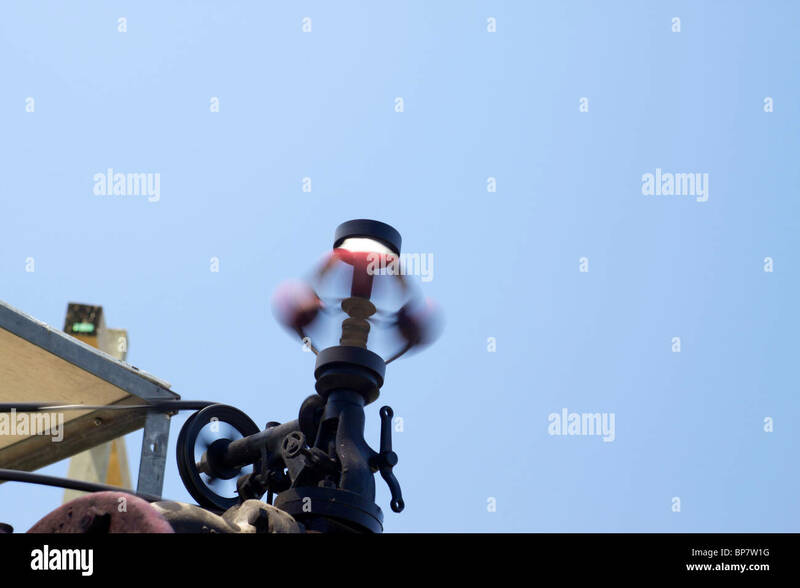 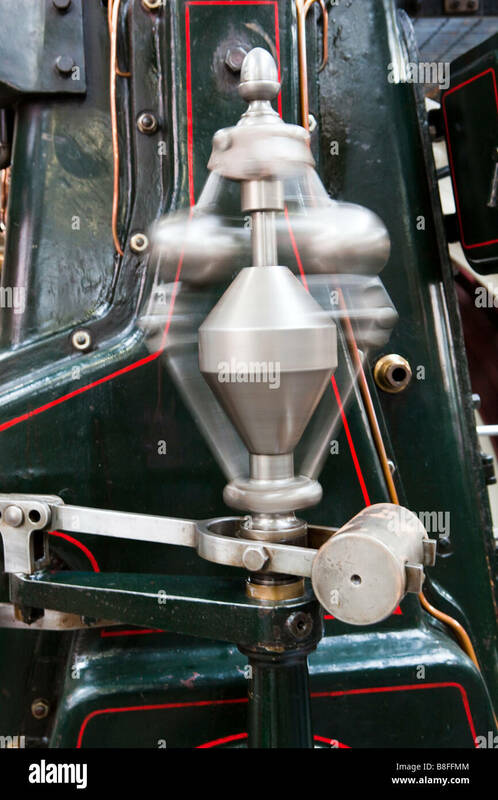 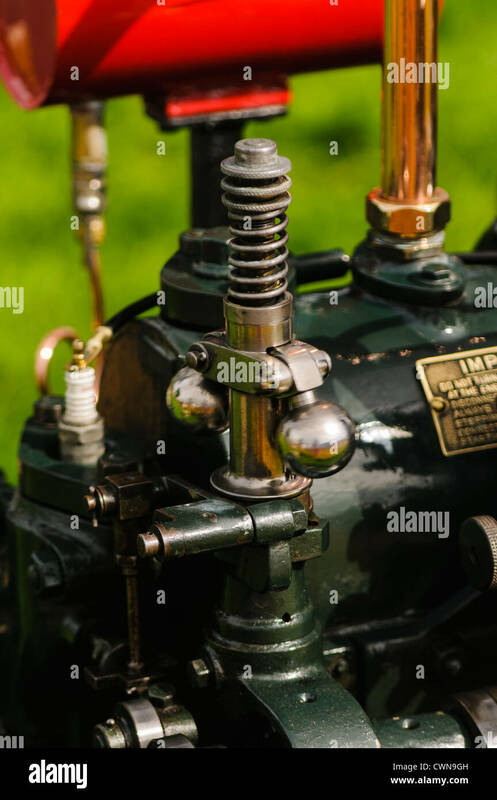 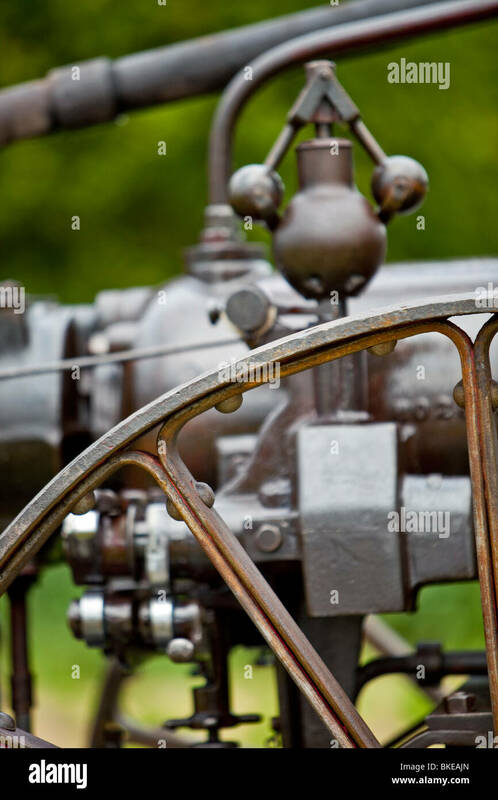 Funnel and centrifugal governor on a traction engine. 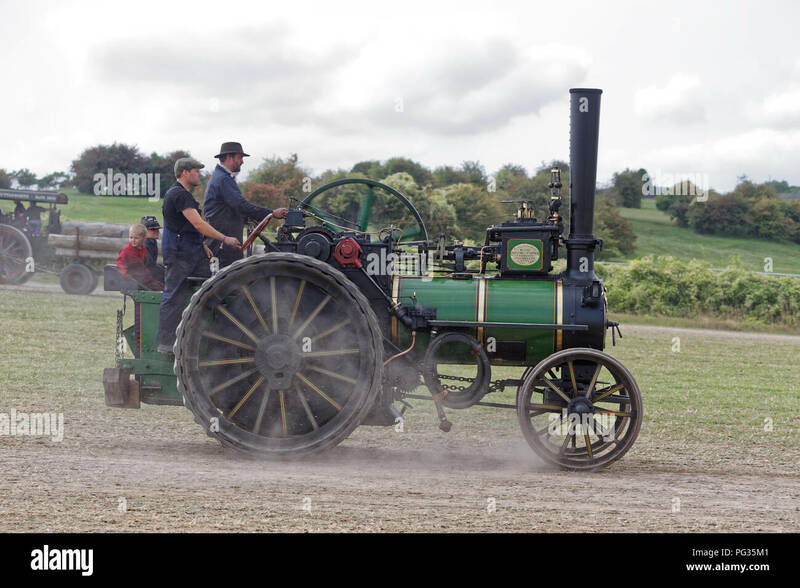 Markfield Park Tottenham, London, UK. 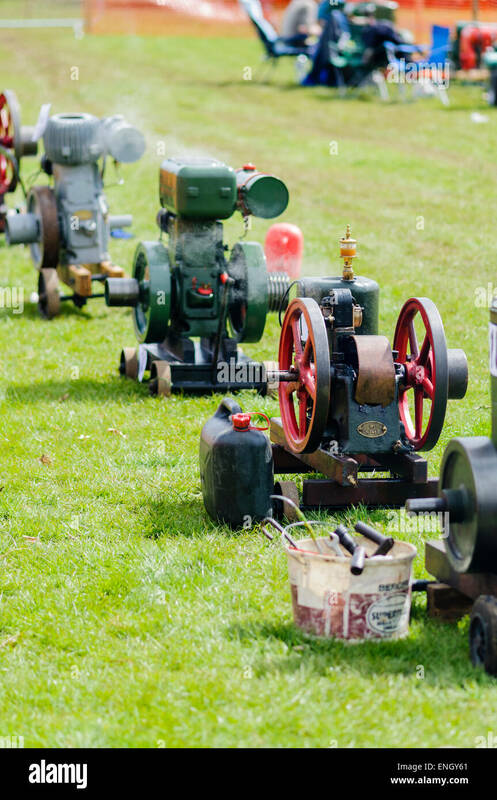 1st April, 2013. 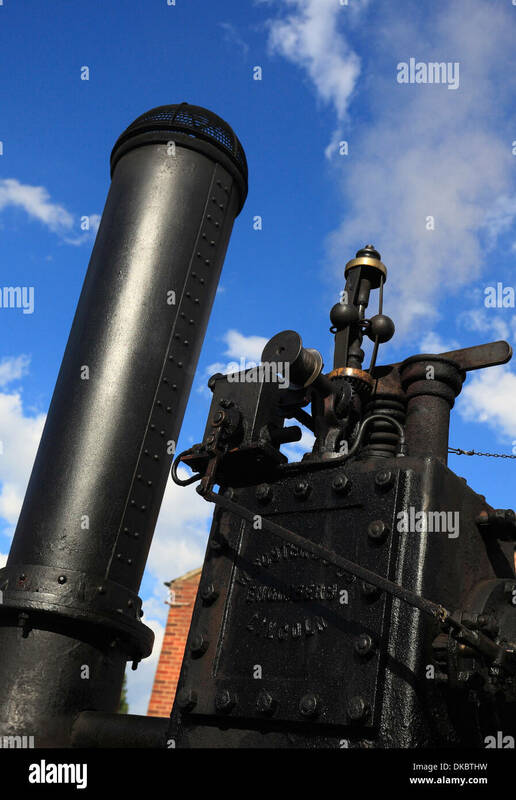 A detail of the Markfield Beam steam engine as it operates under steam during a special open day. 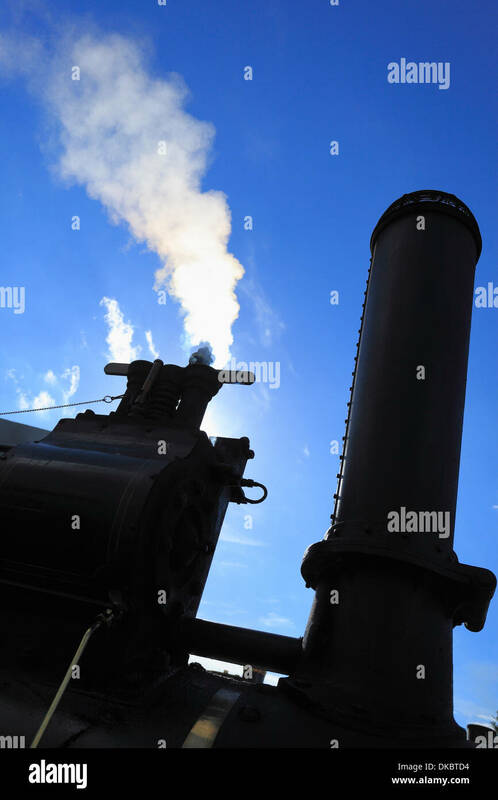 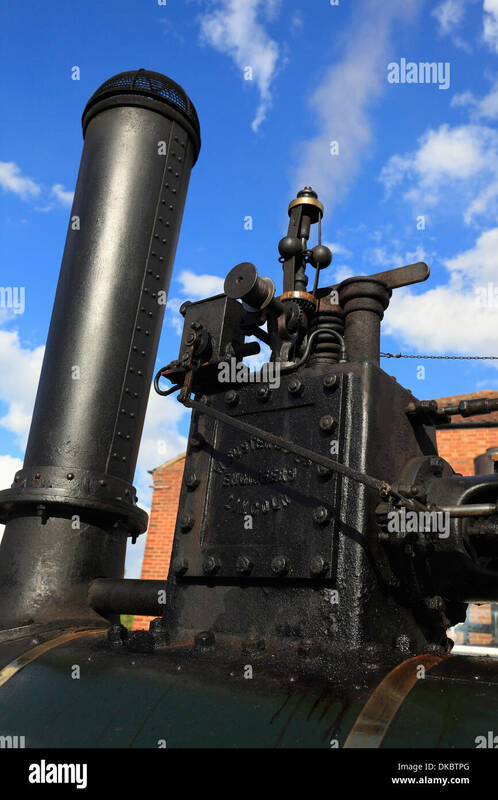 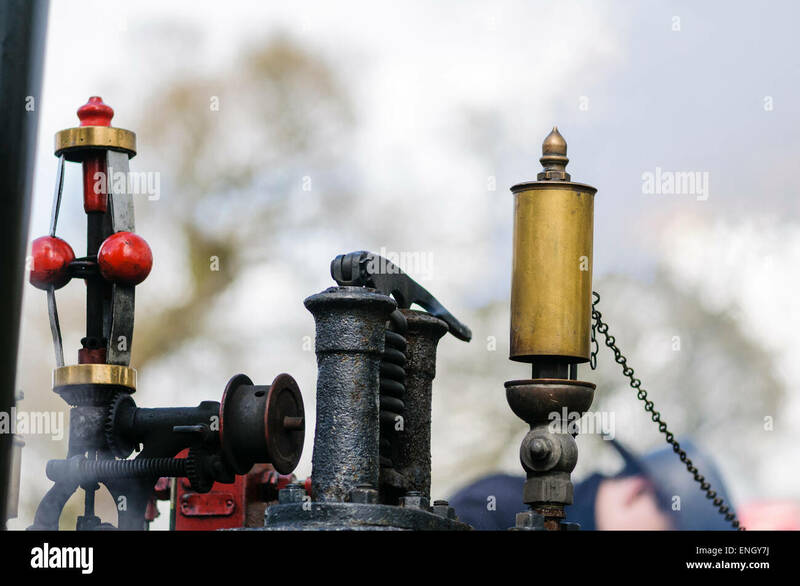 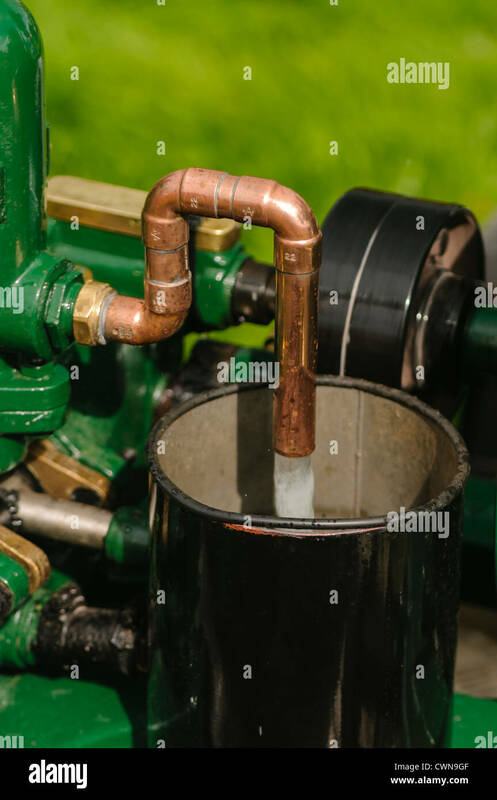 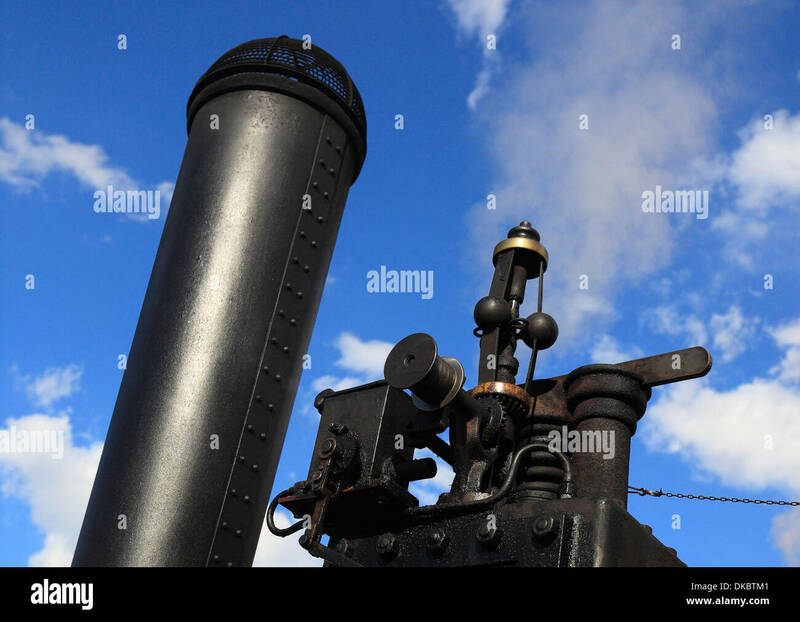 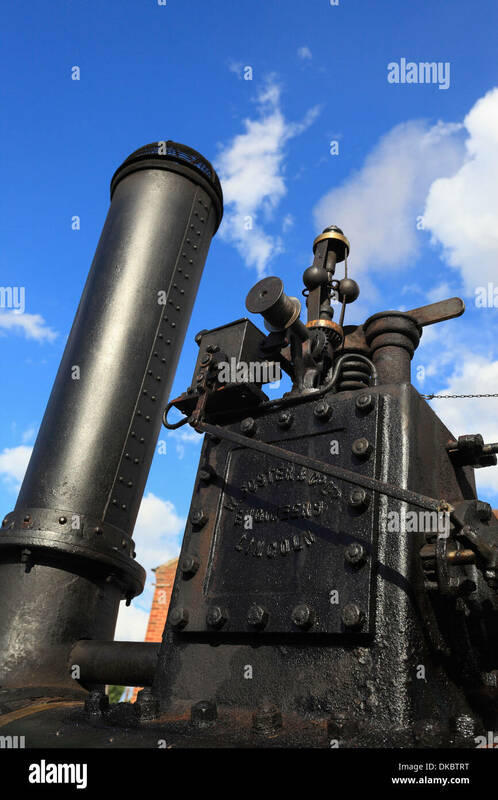 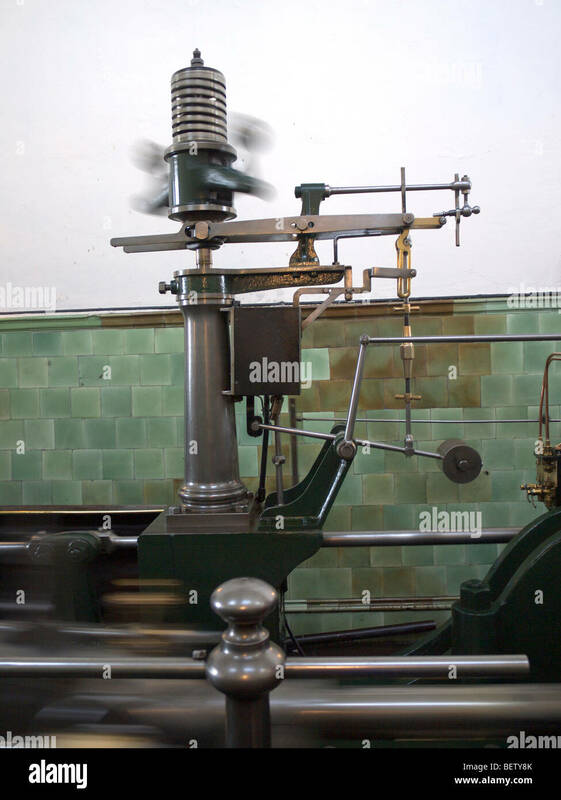 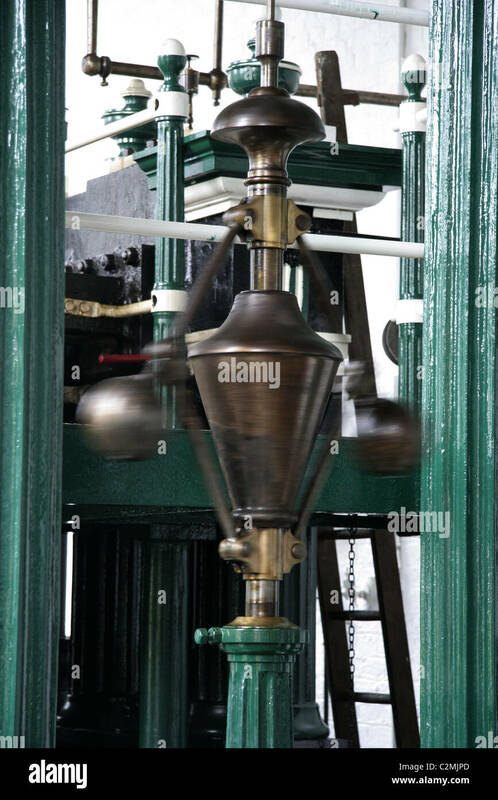 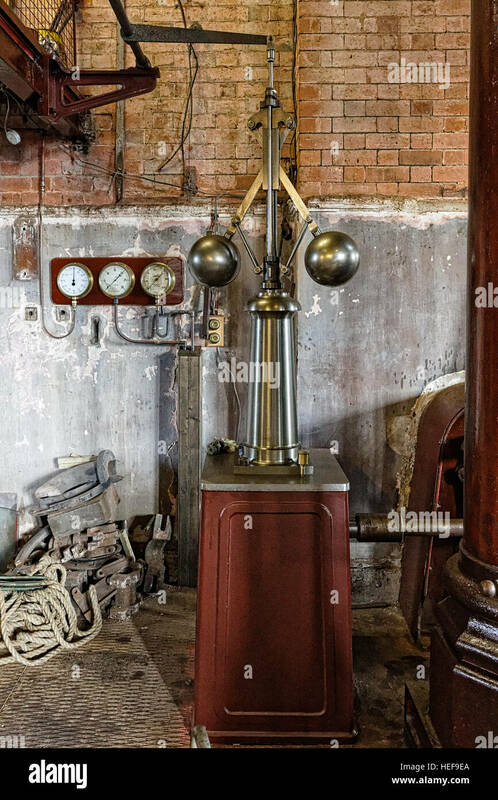 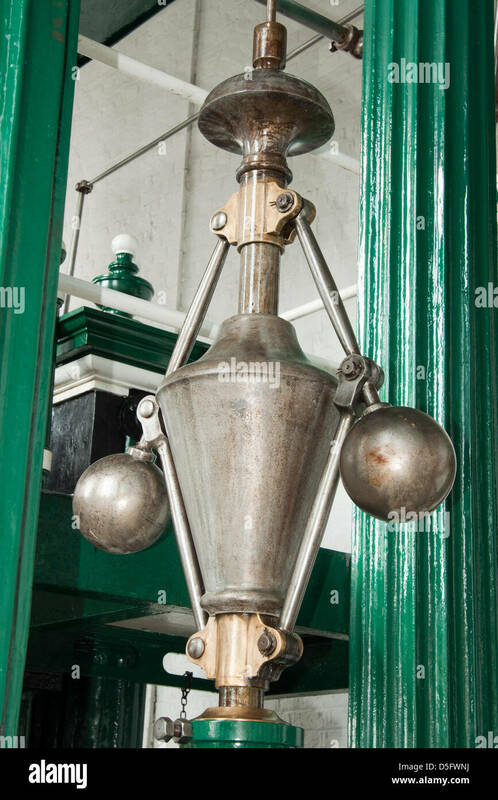 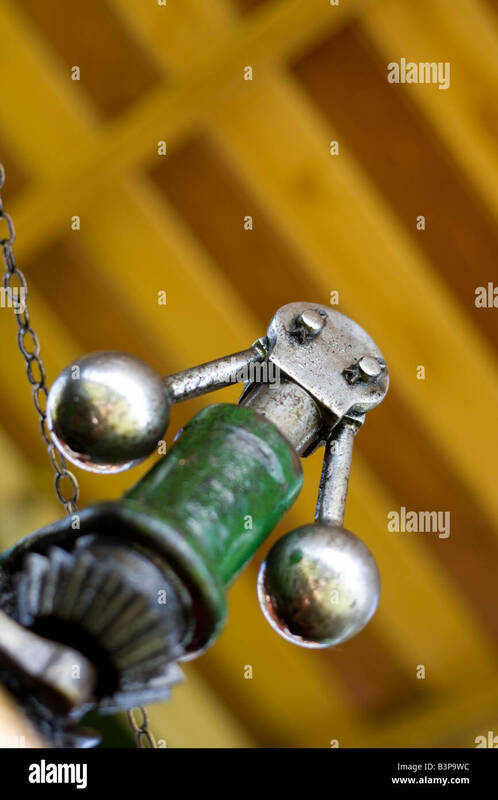 The engine, which is housed in its original Grade II listed Engine House in the former sewage treatment works for Tottenham, was restored by volunteers and is run under steam four times a year.UK. 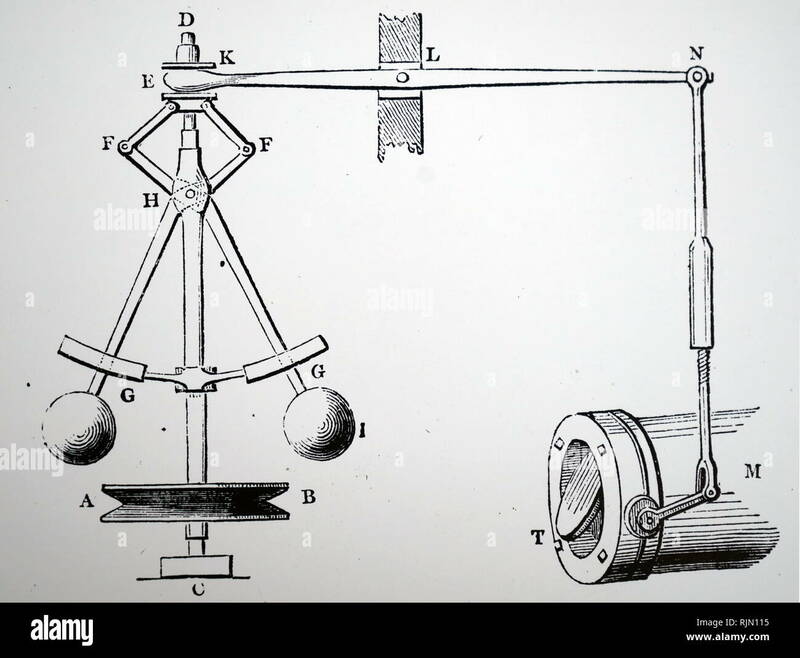 1st April, 2013. 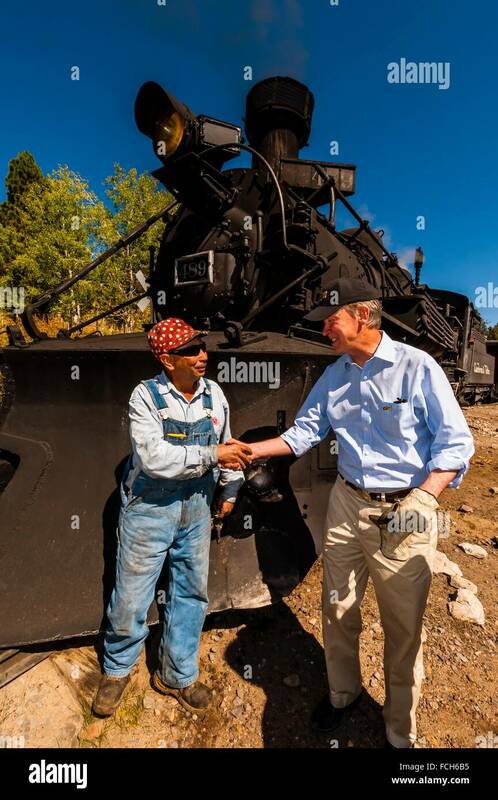 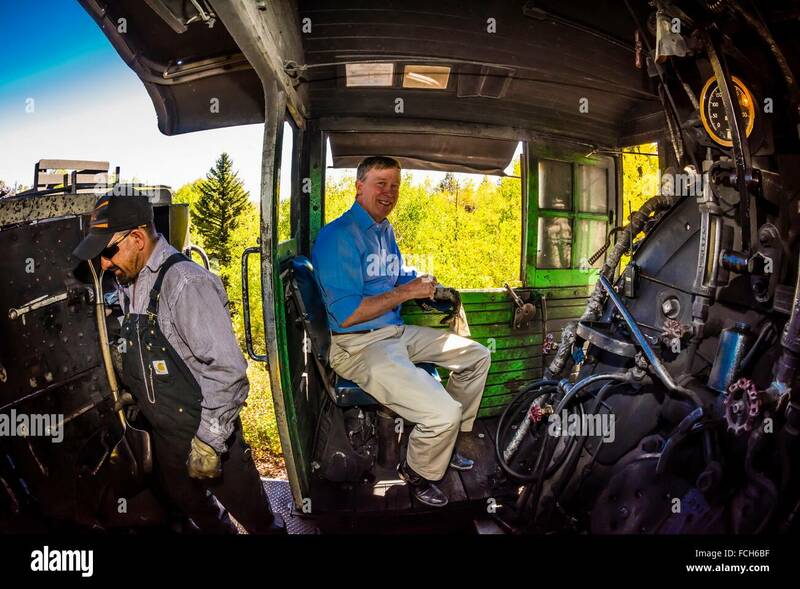 Governor John Hickenlooper (of Colorado) visit aboard the Cumbres & Toltec Scenic Railroad, from Antonito to Osier, Colorado. 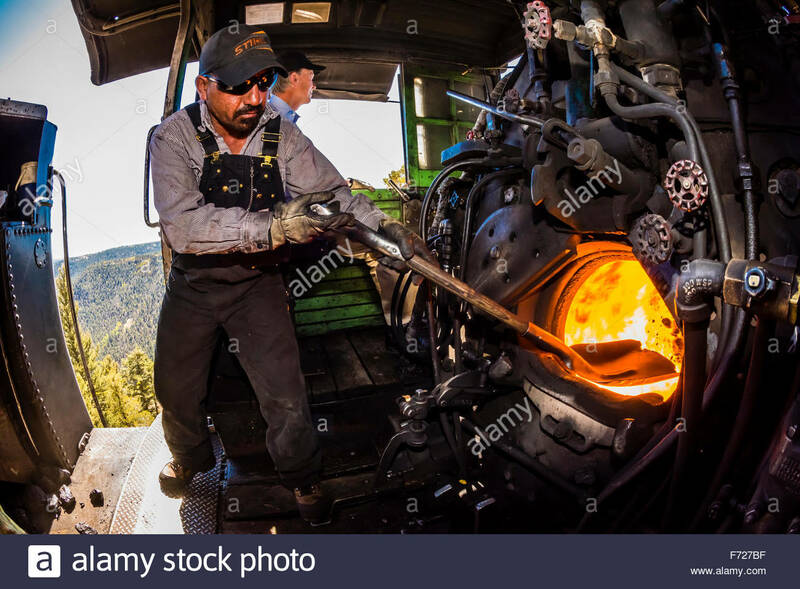 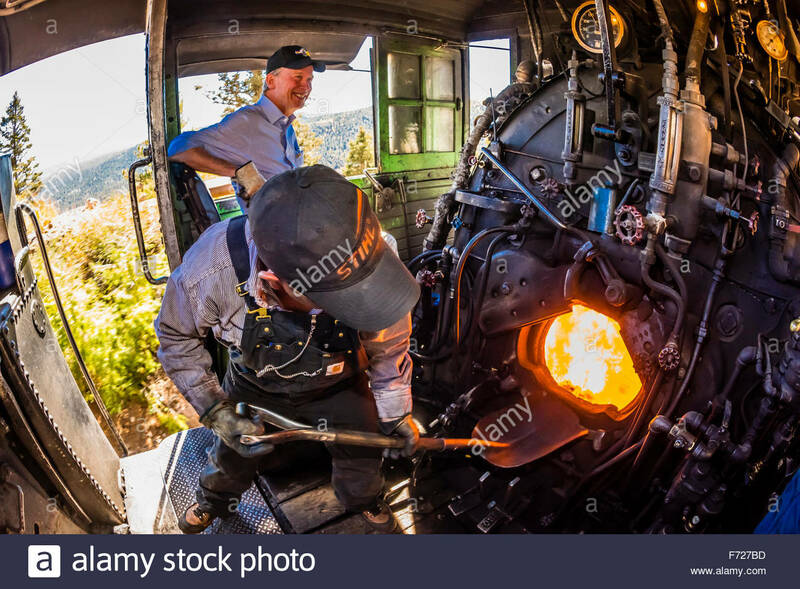 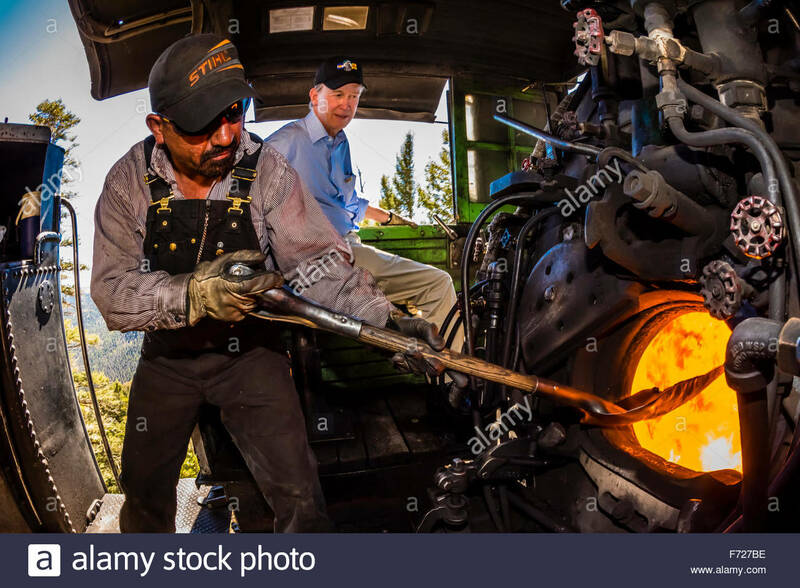 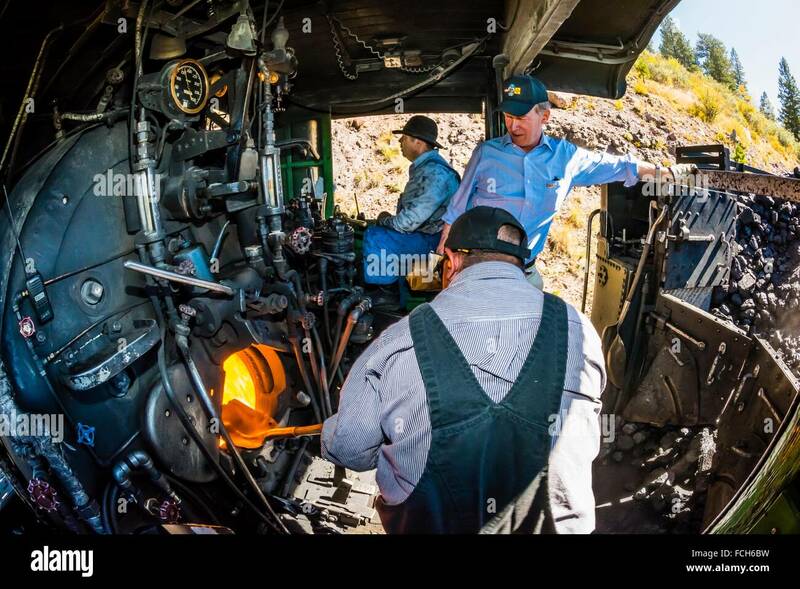 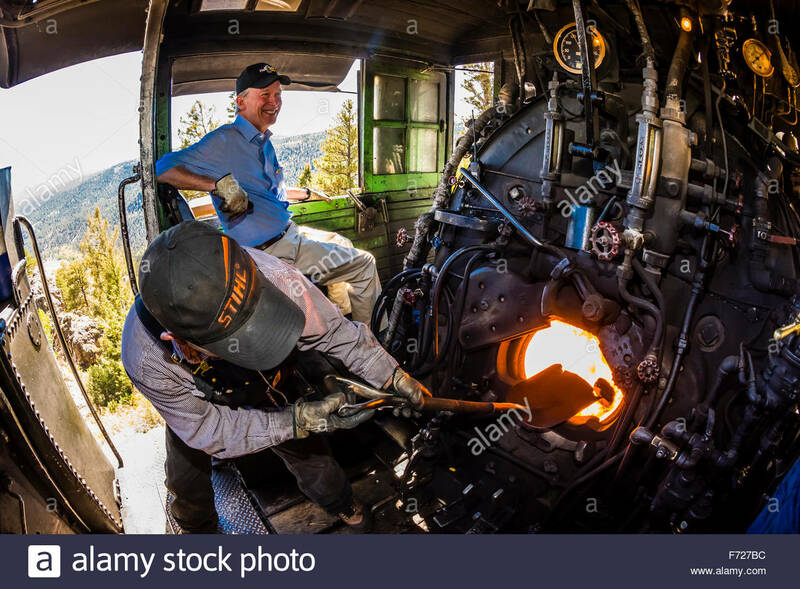 The fireman stokes the fire in the boiler of the steam engine (Colorado Governor John Hickenlooper sits behind), Cumbres & Toltec Scenic Railroad train on the 64 mile run between Antonito, Colorado and Chama, New Mexico. 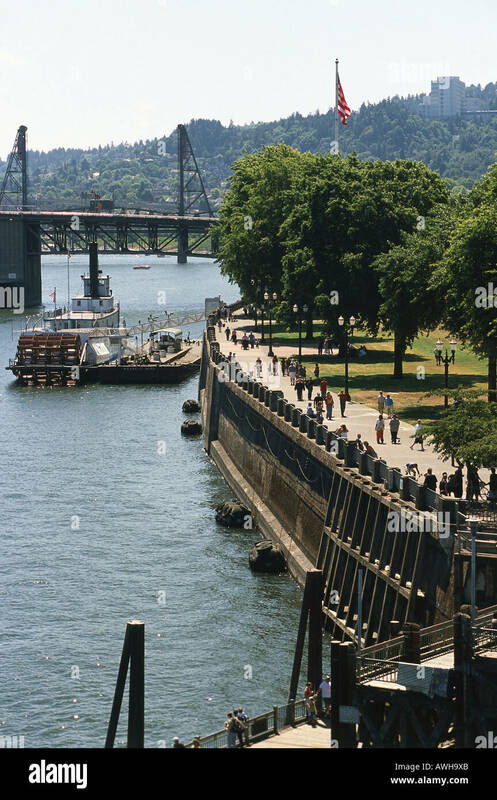 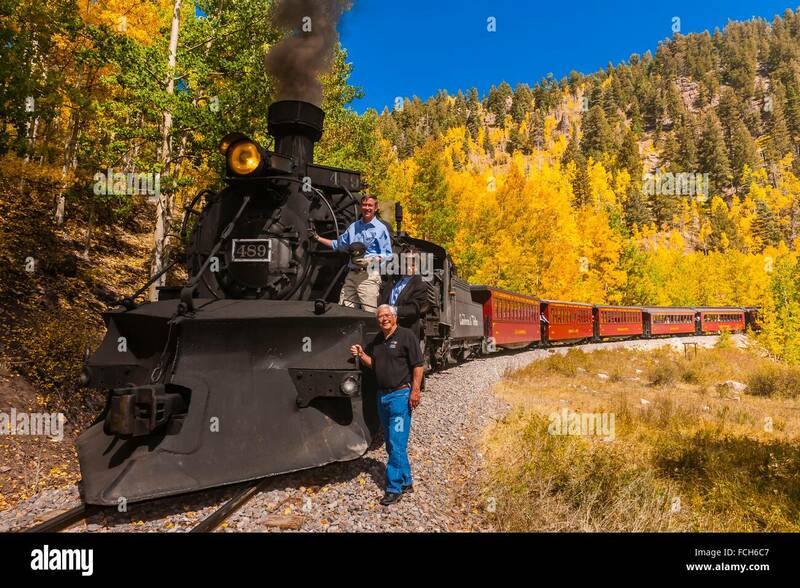 The railroad is the highest and longest narrow gauge steam railroad in the United States with a track length of 64 miles. 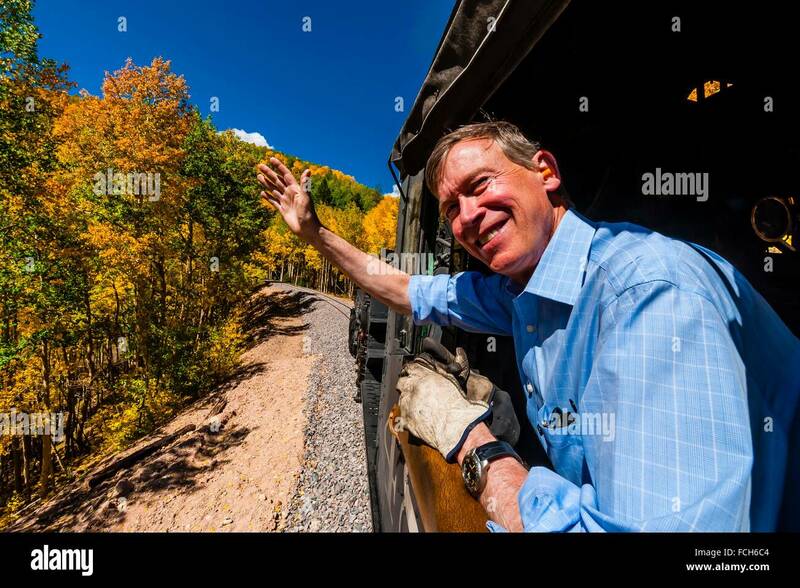 The train traverses the border between Colorado and New Mexico, crossing back and forth between the two states 11 times. 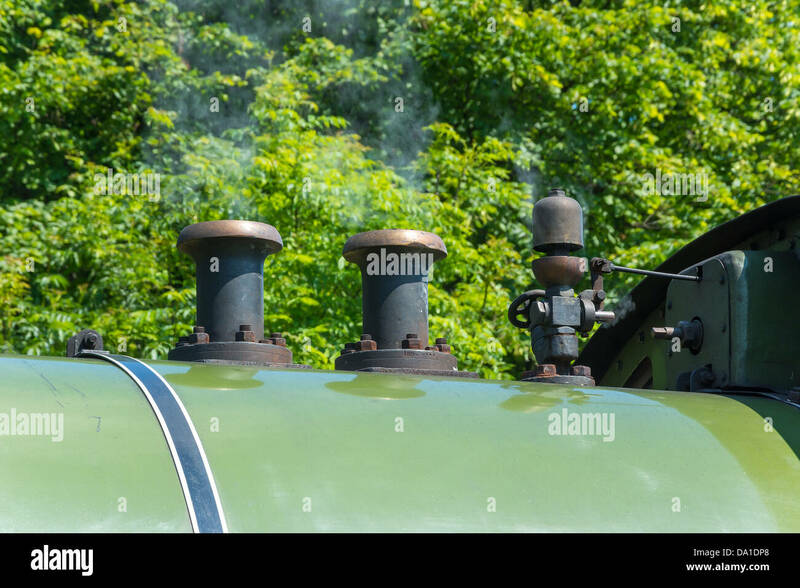 The narrow gauge track is 3 feet wide. 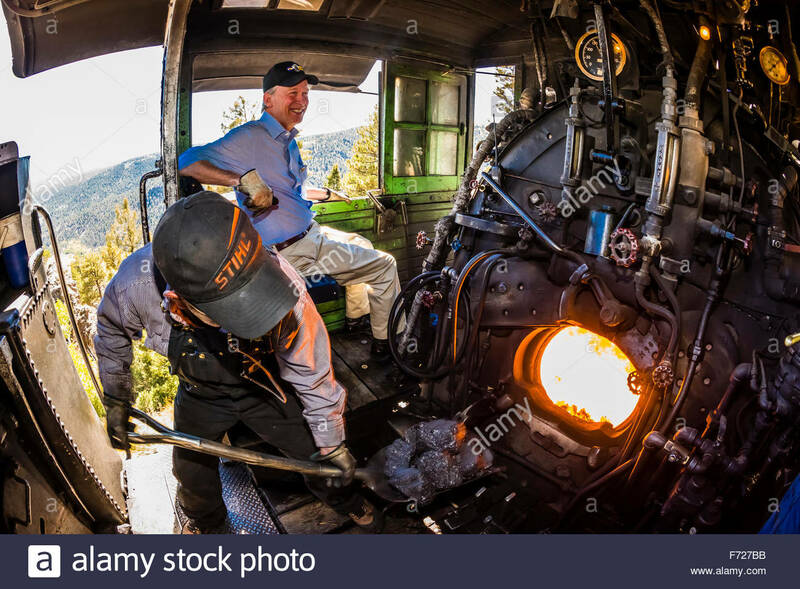 It runs over 10,015 ft (3,053 m) Cumbres Pass. 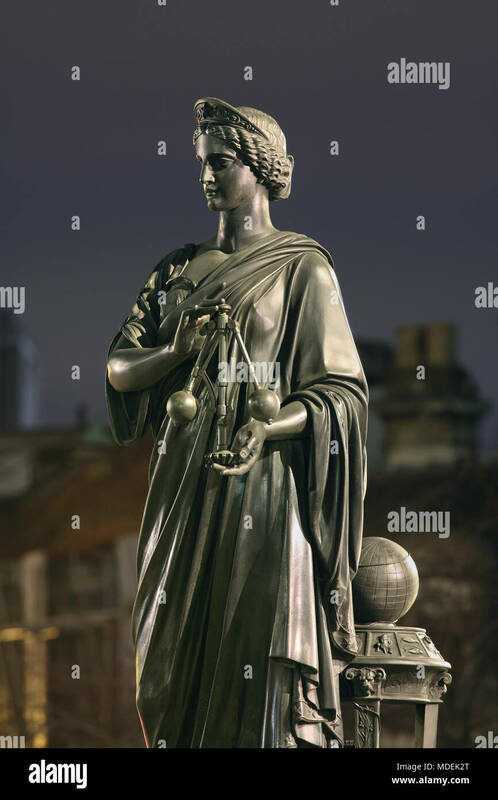 Statue of Science on Holborn Viaduct, London. 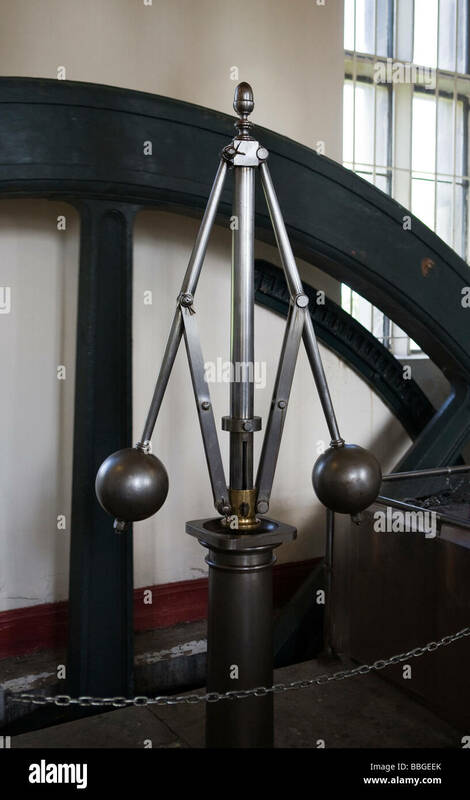 Bronze statue of a female allegorical figure holding a centrifugal governor. 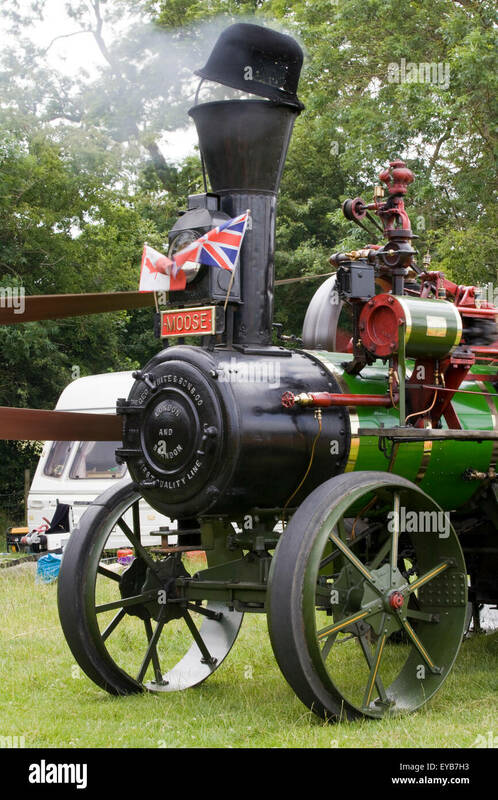 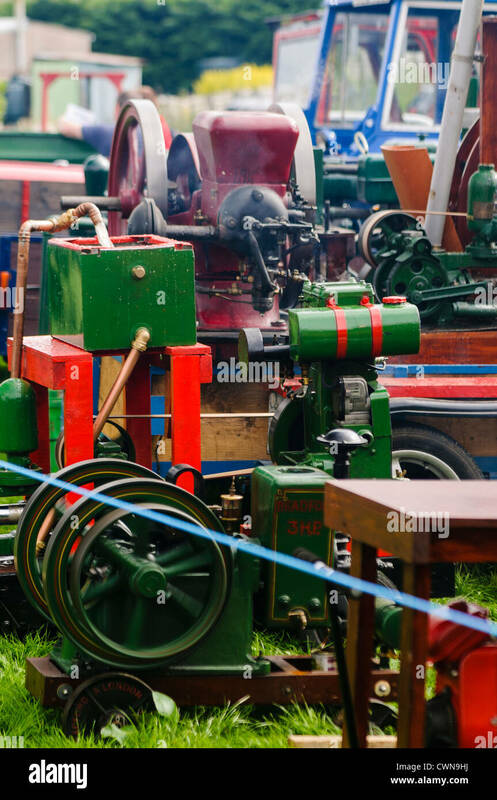 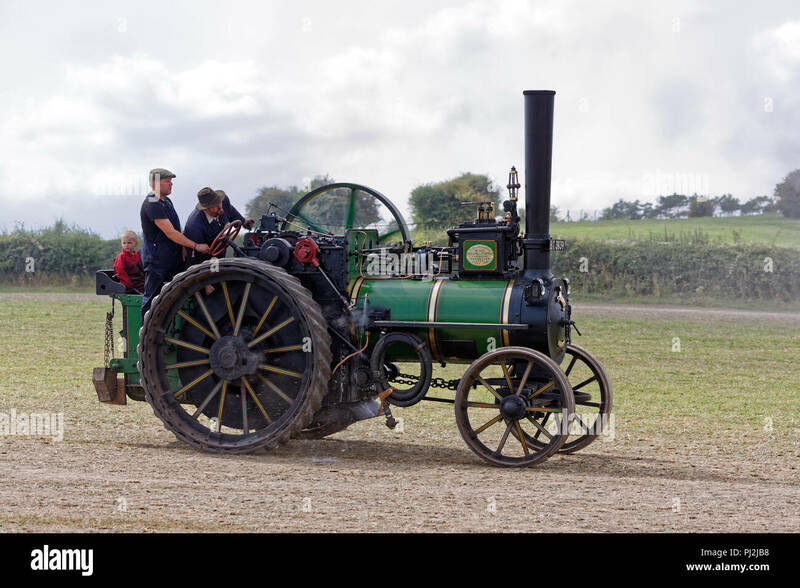 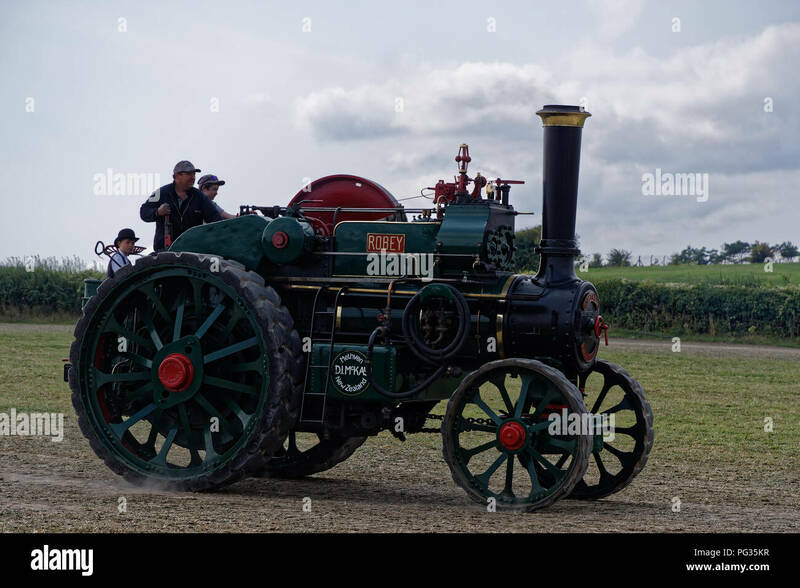 Steam and revolution controller gear on a scale model steam traction engine. 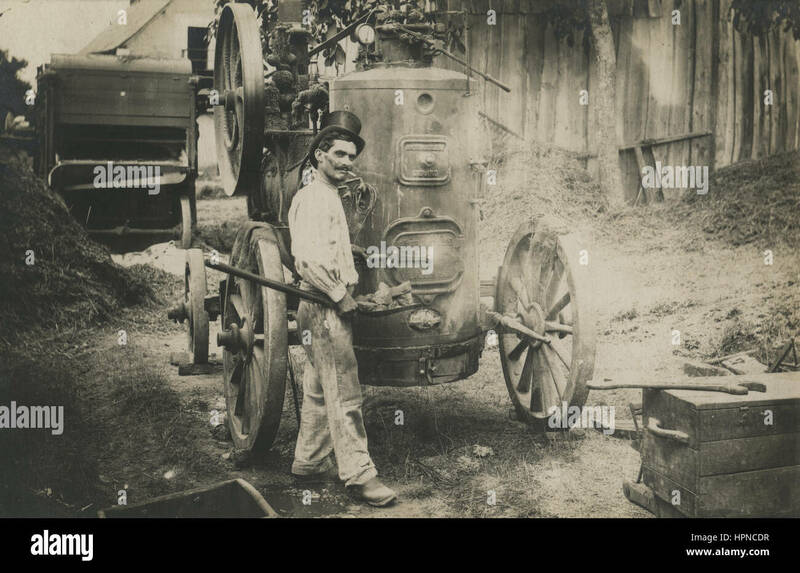 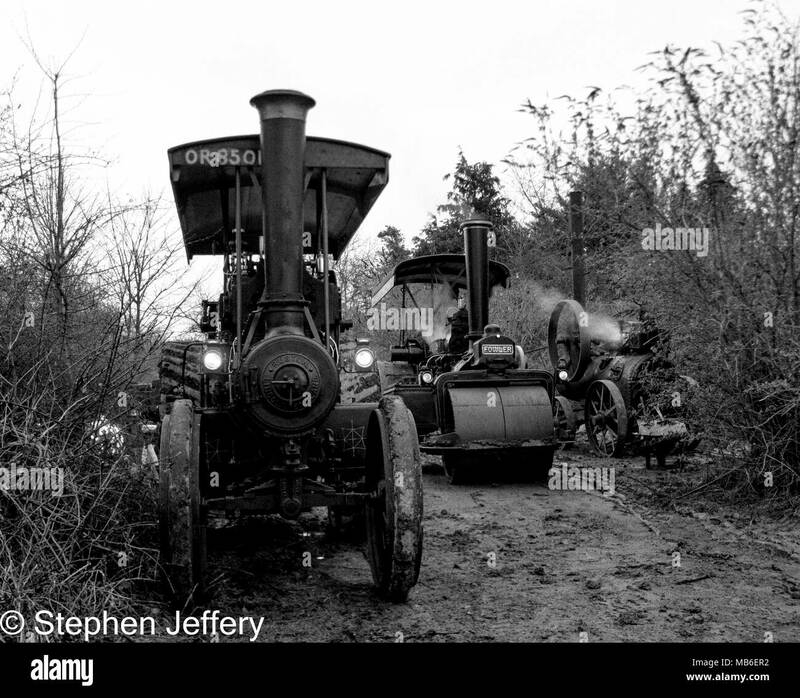 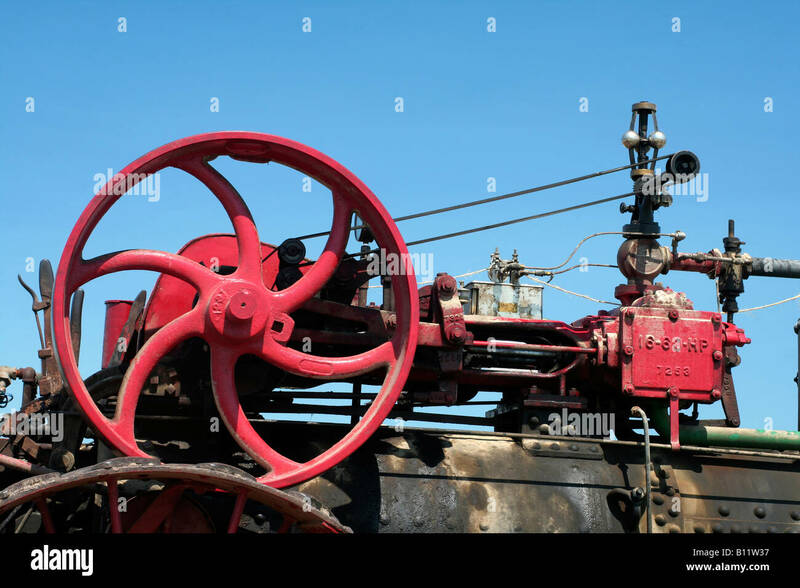 Early 1900s antique Steampunk photo of an engineer, worker with a top hat loading coal in a portable steam engine with a flywheel, governor and a steam boiler. 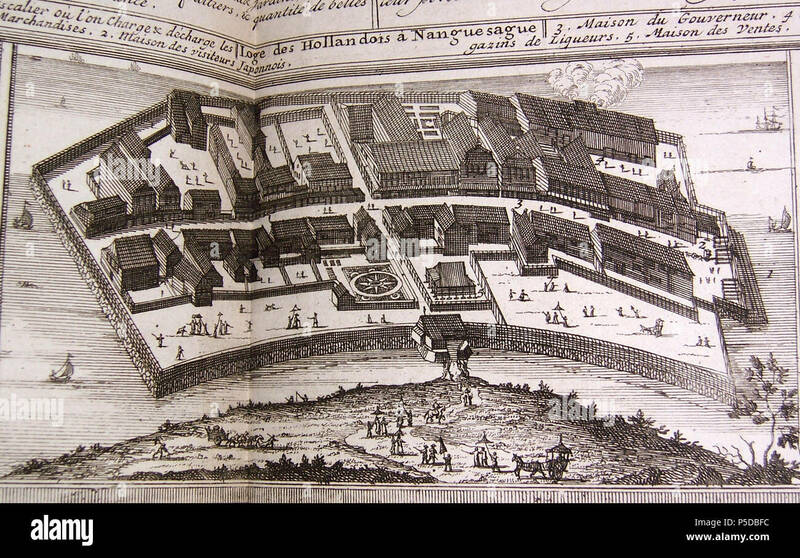 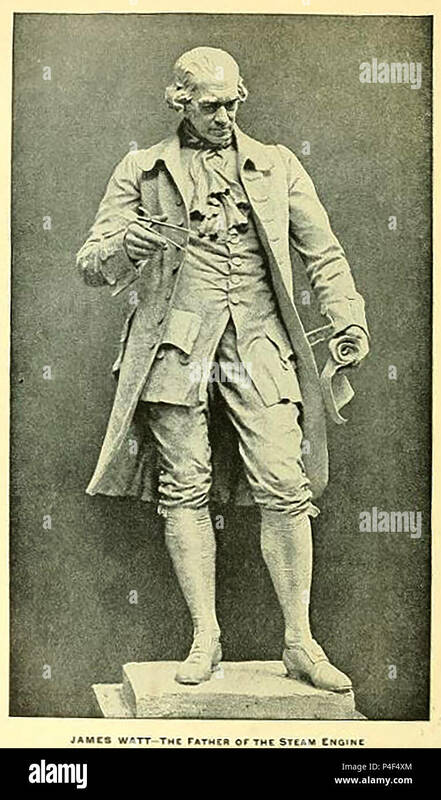 Source: RPPC, real photo postcard by Alphonse Lambert, Château-la-Vallière, France. 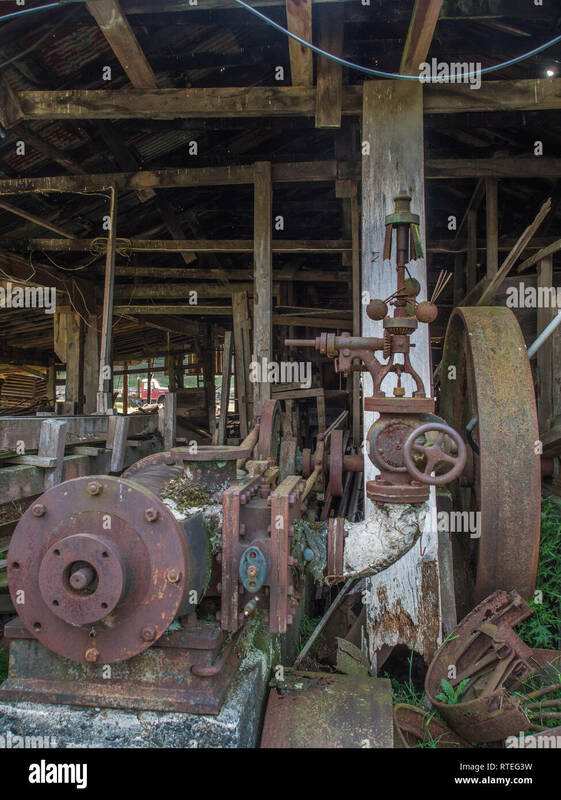 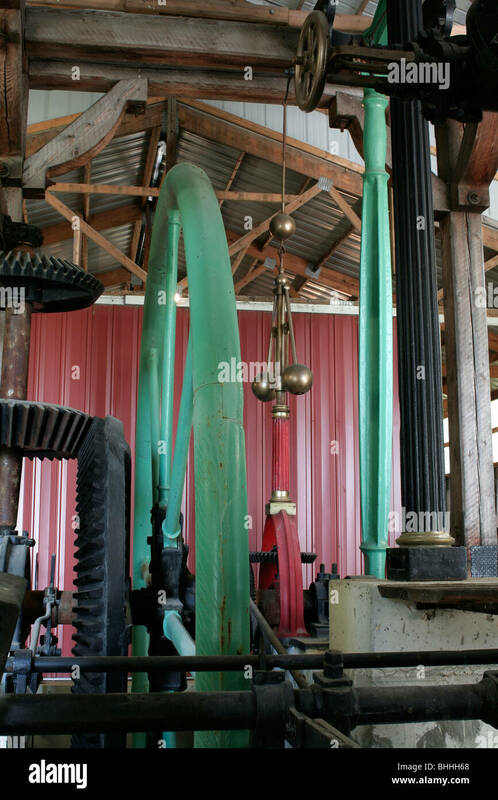 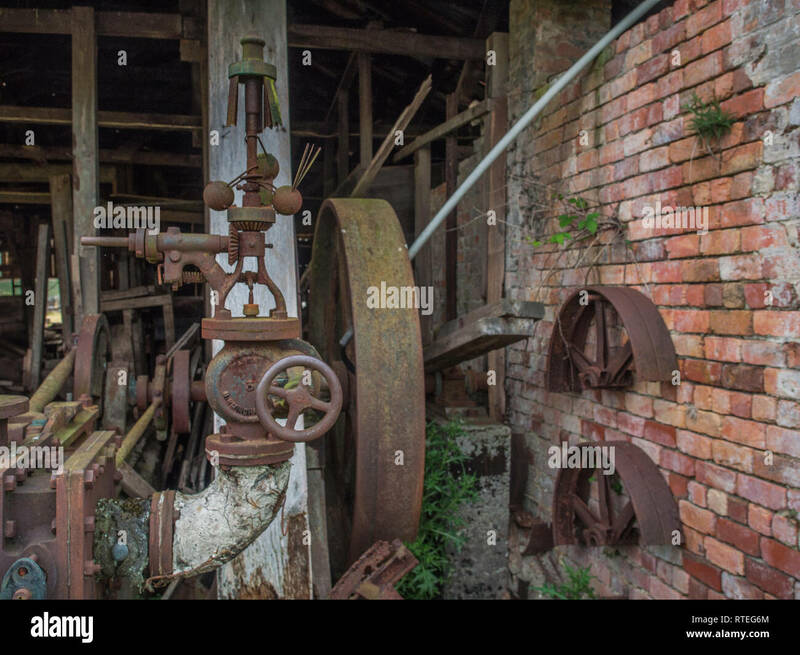 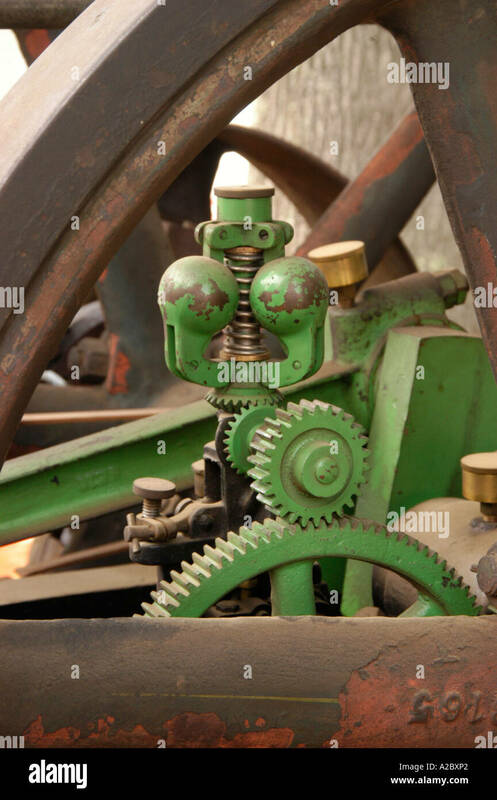 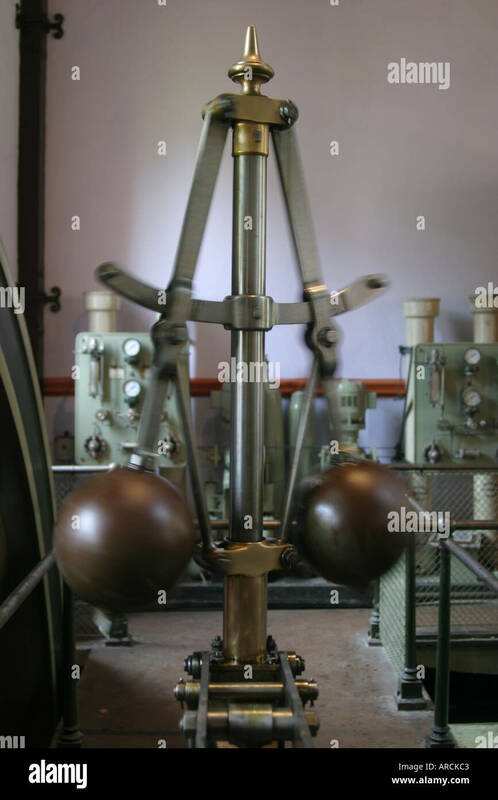 Centrifugal governor and gears of a beam engine. 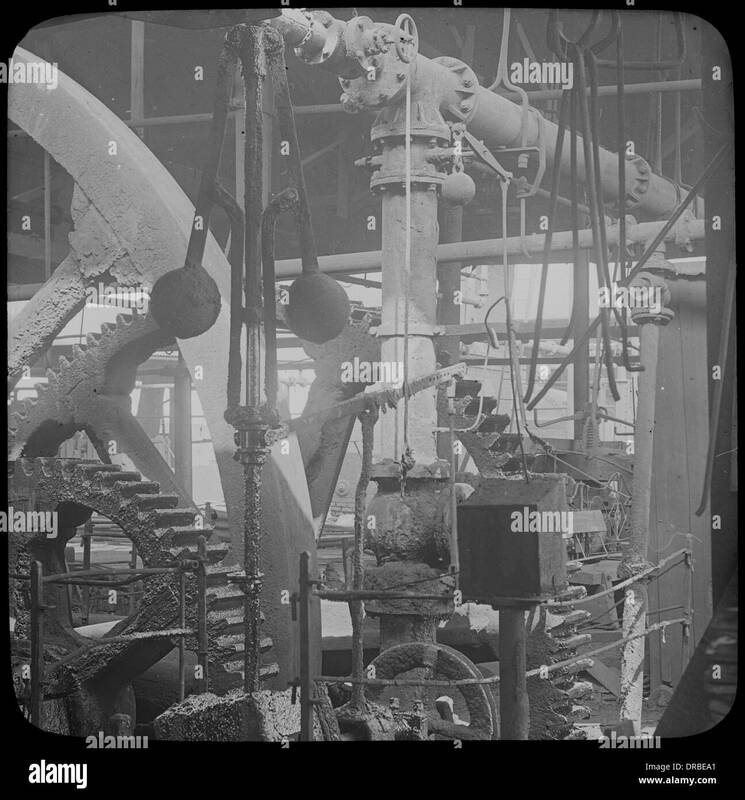 Labelled Johnson's Iron and Steel Co Ltd. Birmingham. 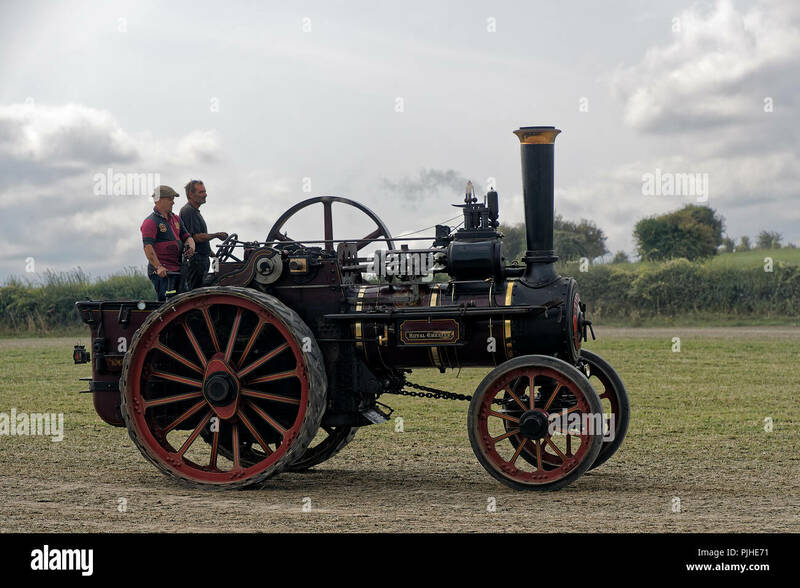 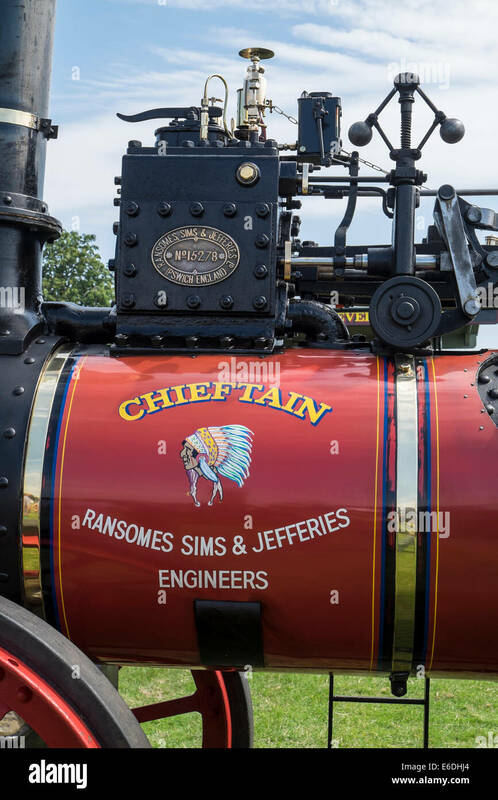 The replica steam tractor 'Tigger' from Summerlee Museum in Coatbridge, Scotland pictured in Kelvingrove Park, Glasgow. 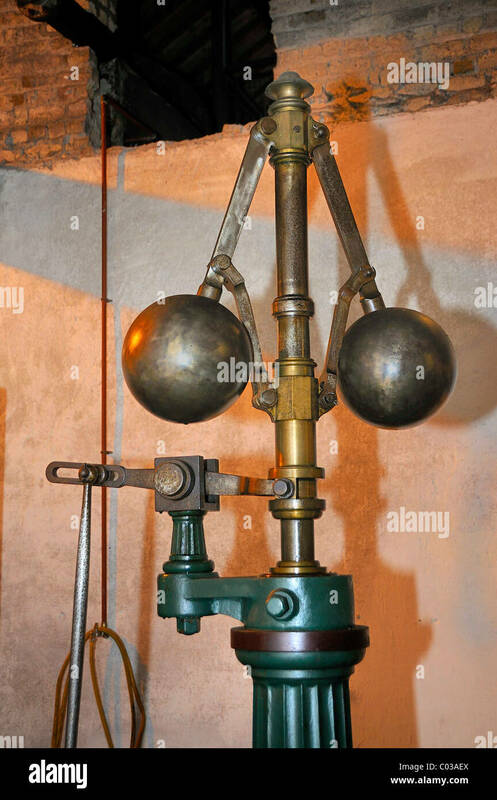 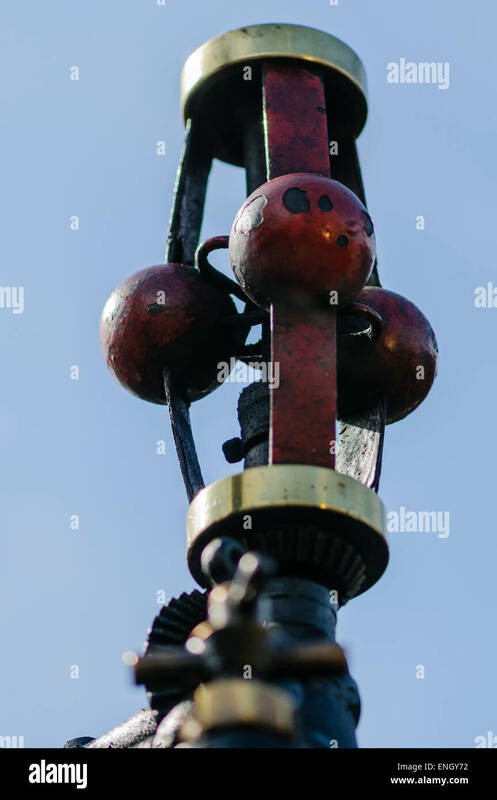 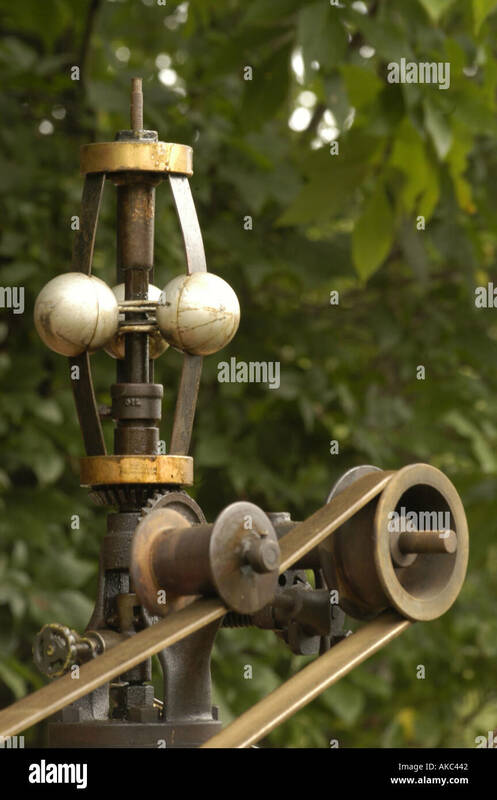 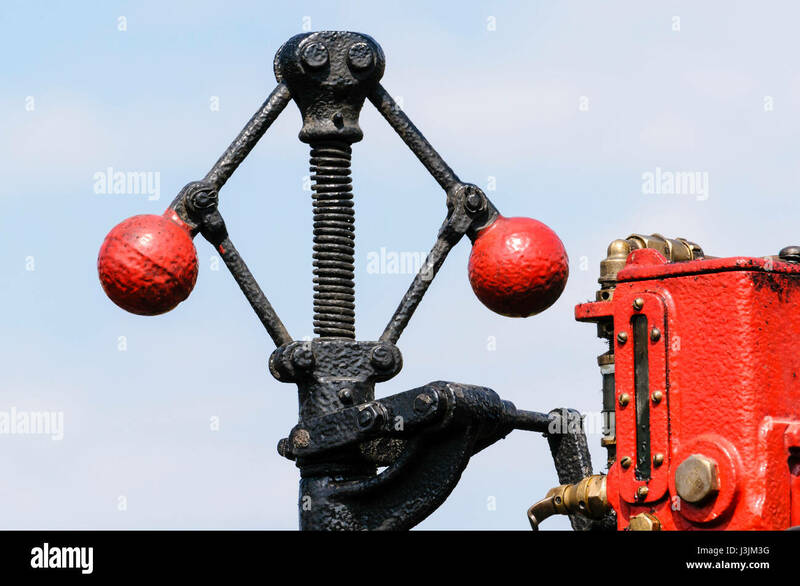 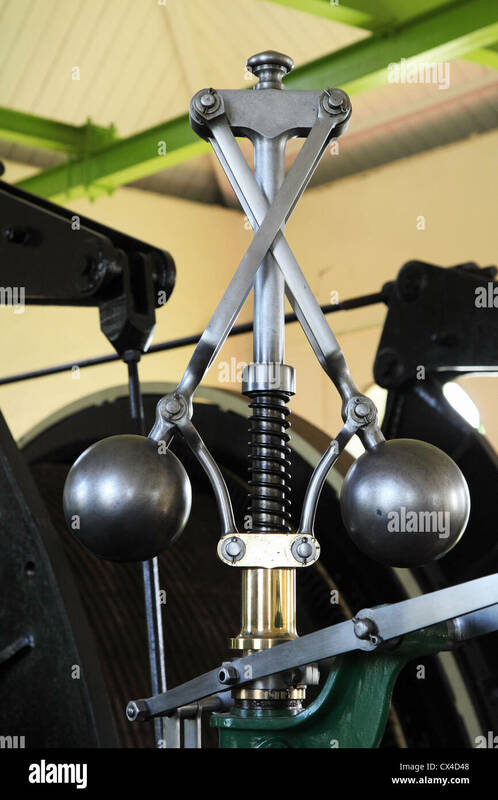 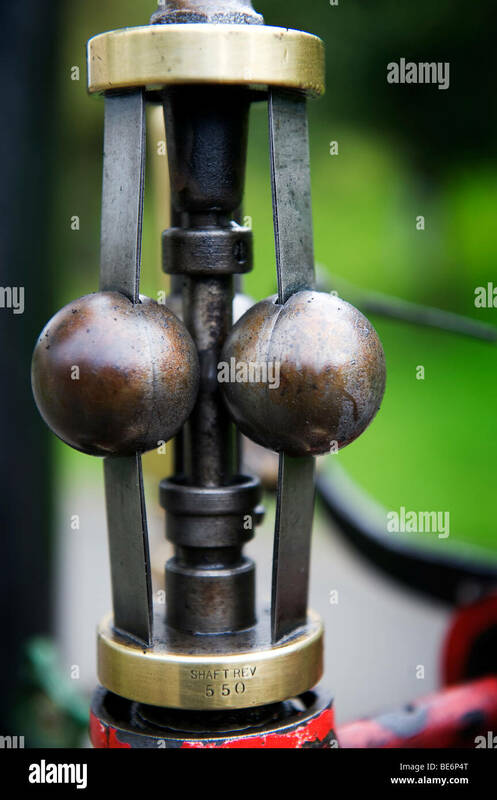 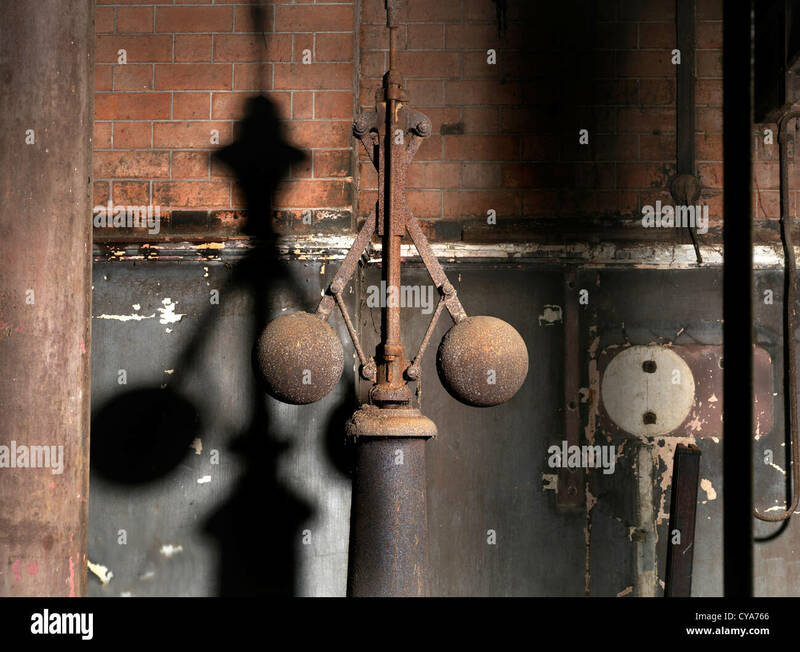 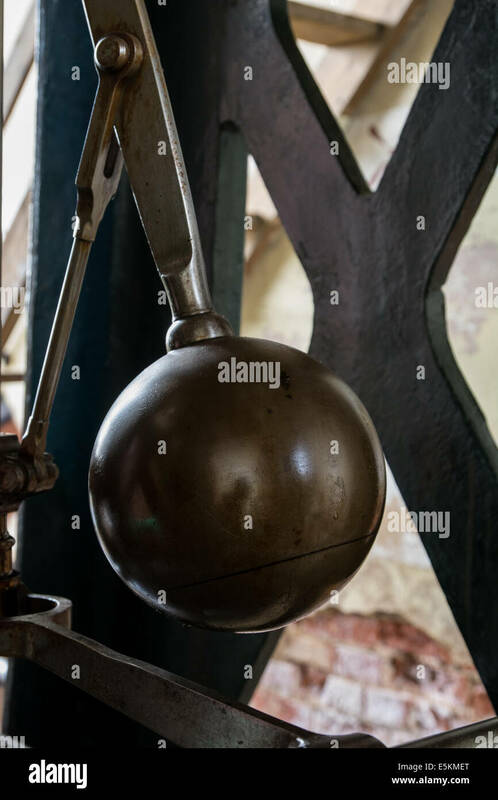 Iron balls on the Centrifugal governor mechanism of a traction engine - used to control the speed of the engine. 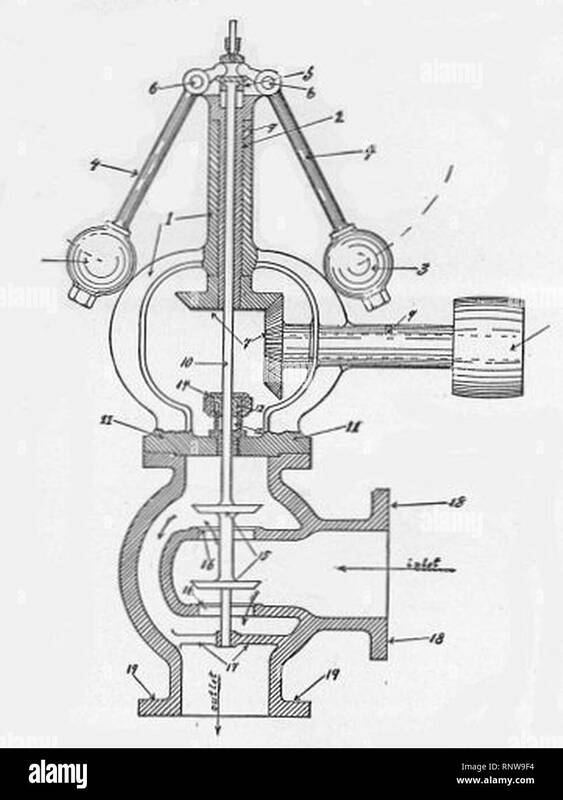 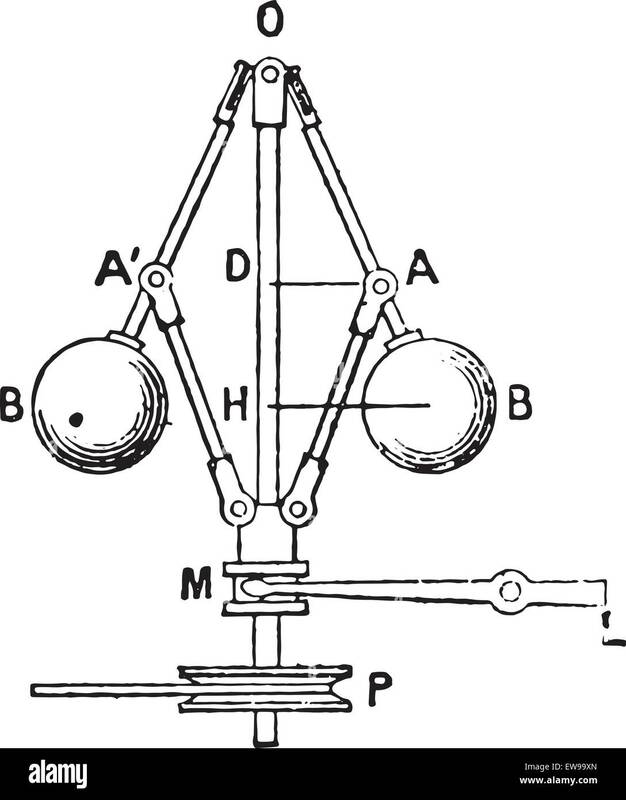 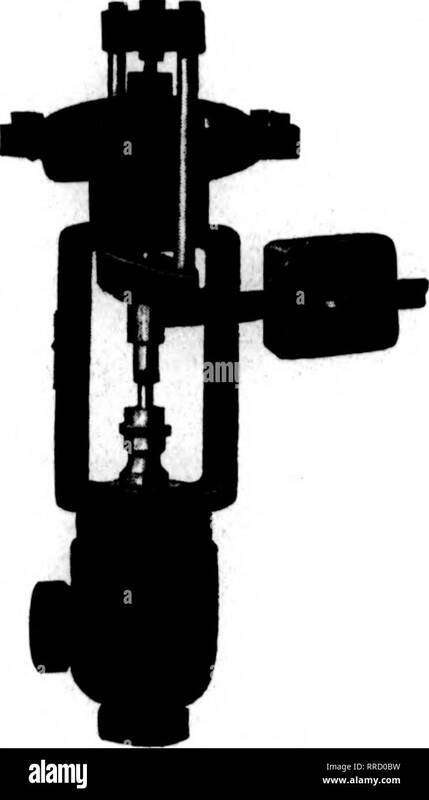 Centrifugal governor and balanced steam valve (New Catechism of the Steam Engine, 1904). 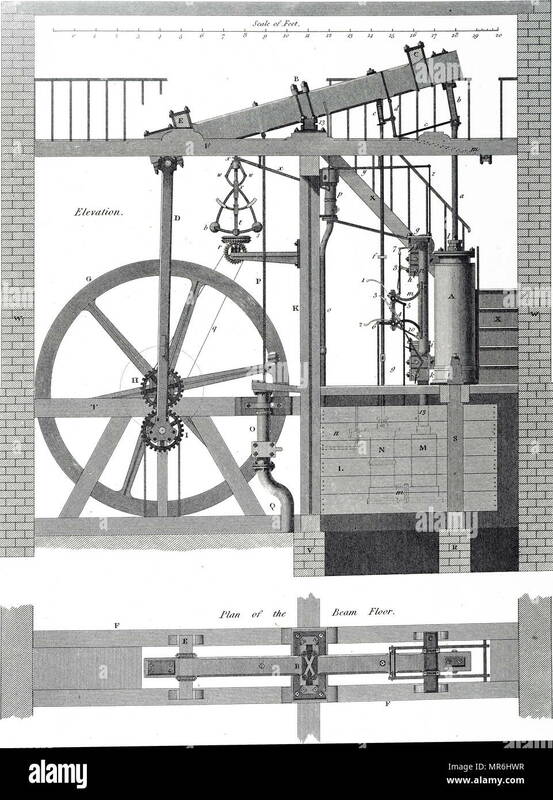 1899 illustration of a statue full length of James Watt (1736–1819) FRS renfrewshire, Scottish Chemist and inventor of the steam engine. 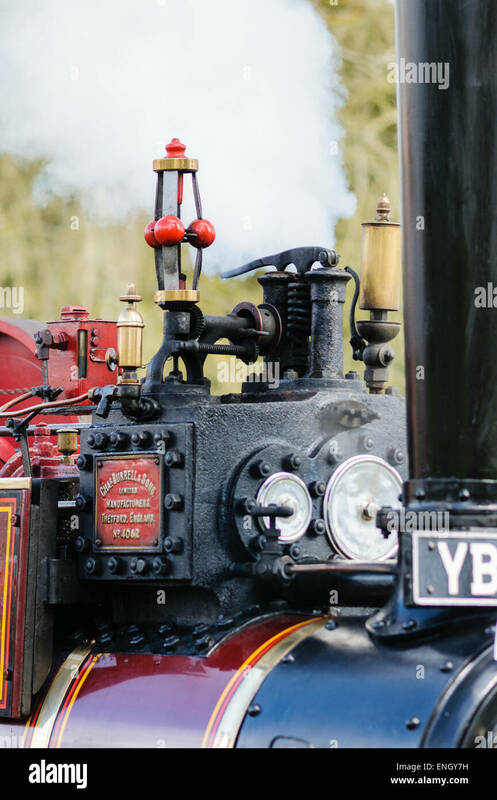 The steam engine governor with reflection. 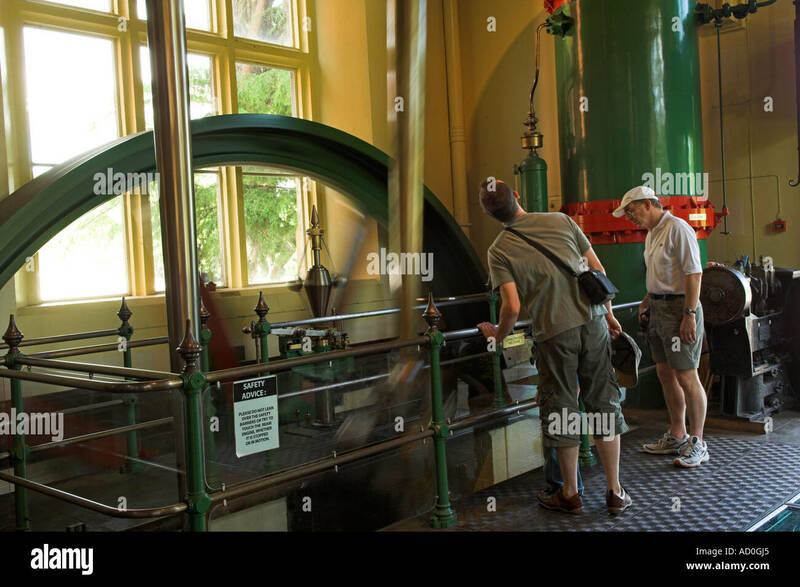 Built in 1856 to replace a wind-driven pump. 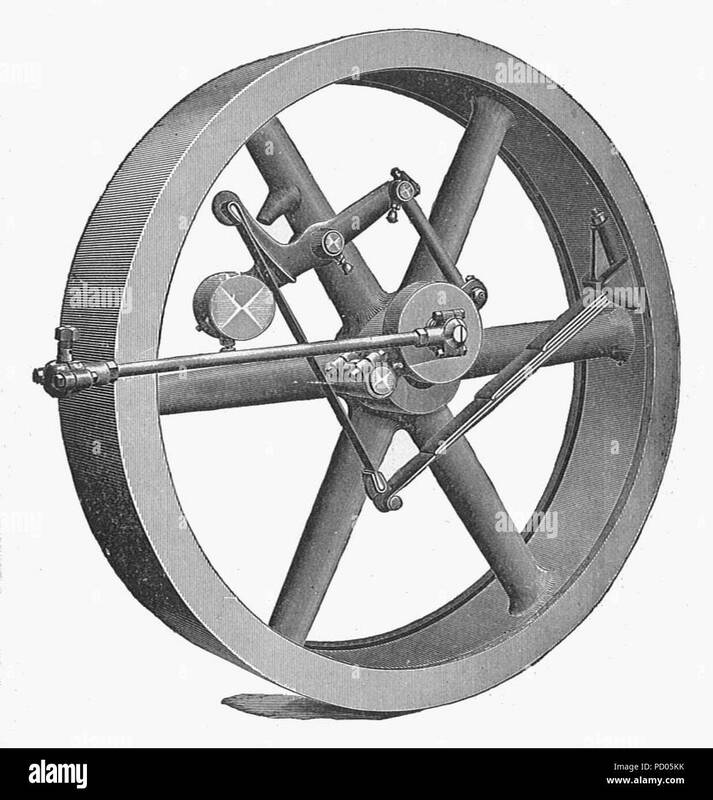 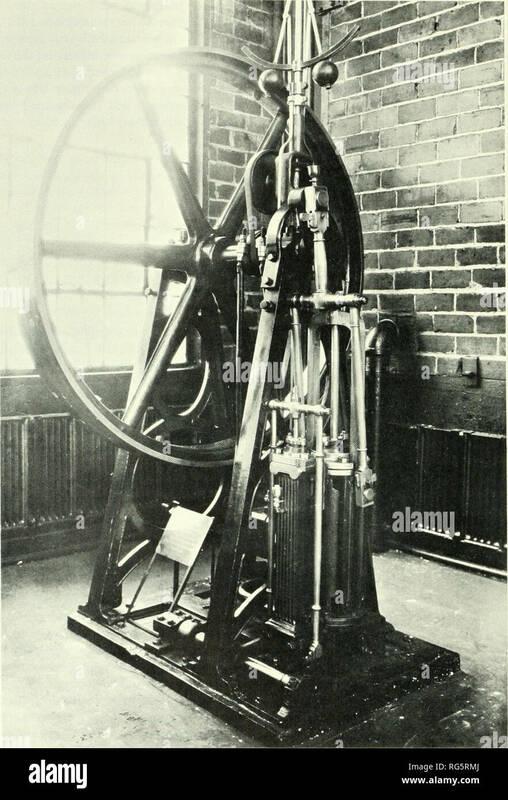 Ames automatic governor (New Catechism of the Steam Engine, 1904).